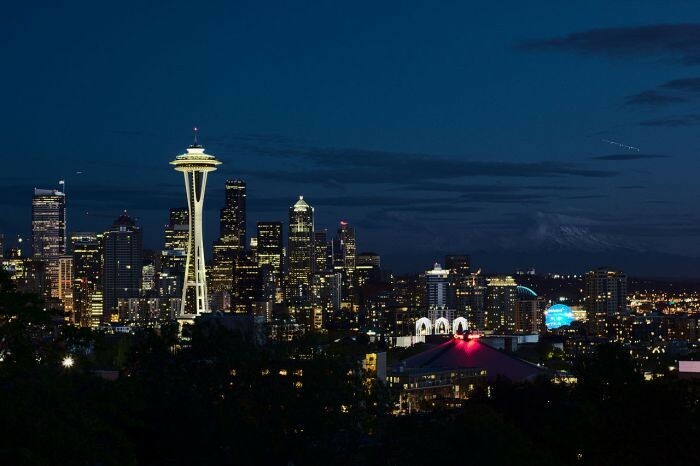 Seattle fans hungry for a men's professional basketball team to root for apparently will have an opportunity to do that this coming season, but it won't be an NBA team that is seeking their support and affection. David MagleyRather it would be a Seattle team, without a nickname as yet and under a group of Toronto owners, that will compete in the new North American Premier Basketball (NAPB) league that was unveiled July 5 at a Chicago news conference. The Toronto owners are expected to be open to finding local partners. And in fact, according to David Magley, who is president and COO of the new league that he says is tobeginplay January 1 with about a dozen teams from the U.S. and Canada, there could soon be teams from other Washington State cities, with Spokane, Yakima, Bellingham and Tacoma on his list of possibles. When the formation of the league was announced at the Chicago news conference, Dr. Sev Hrywnak, who owns several surgical centers in the Chicago area and is Magley's co-founder and CEO of NAPB, said the league will operate from coast to coast in the United States and in Western Canada. It will have combine tryouts this fall in 15 cities, with Seattle tryouts on September. Those tryouts of pro hopefuls, many bringing college-play and some professional backgrounds, will thus produce the 12-man roster of the Seattle team, as well as any other Northwest teams that emerge. Magley, who hails from Indiana and played his college ball at the University of Kansas, and has been commissioner of the National Basketball League of Canada, was in Seattle this week where I caught up with him for a conversation about the return of men's pro basketball to Seattle. Prior to taking the reins of the Canadian pro basketball league, Magley was general manager of the Brampton professional team, where one of his players was Jordan Hamilton, a Seattle Prep star who went on to Lehigh University where his team earned basketball fame for its upset of Duke in the 2012 NCAA tournament. Magley said he expects that the 27-year-old Hamilton, who played professionally in Germany and Luxemburg, would be a player as well as business manager of the Seattle team. According to Hrywnak and Magley, the now defunct Continental Basketball Association, the demise of the ABA and the effort to move NBA's G-League teams closer to their parent teams leave markets across the U.S. abandoned. A marketing study conducted over a 2-year period identified 60 cities in the USA and Canada that have the fan support and financially stable potential ownership groups to sustain professional basketball in each of those areas. 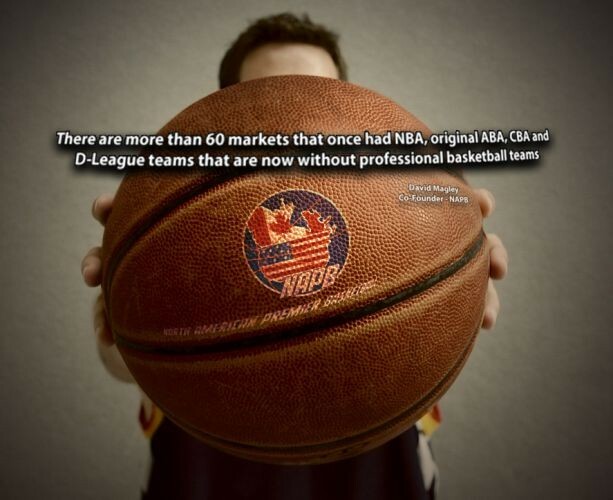 "There are more than 60 markets that once had NBA, original ABA, CBA and D-League teams that are now without professional basketball teams," Magley said. "Then there are places like Spokane and Boise that have never had professional basketball but represent appealing markets to us." In talking about the potential of Spokane, as an example, Magley said: "Do you think the owner of a franchise there that had signed half a dozen former Gonzaga U stars and several from Washington State who were still interested in playing basketball would attract fans to see the games? Who could doubt that would successful." Criteria for owners is a net worth of $2.5 million, he said, but that would be the group financial qualification in a case where four or five partners might want to be involved. The franchise fee would be $200,000, but Magley suggested during our interview that in five years that value would likely be closer to $1 million. "Its important to understand that most franchises will take an average of three years to reach breakeven," he added. Payroll for each team would be about $125,000 to $150,000 with three levels of monthly player salaries, $1,500, $3,000 and $5,000, he said. "Other costs, such as players' housing and travel, would be about the same." The NAPB will enlist former NBA Director of Officials Ronnie Nunn to serve as VP of Officials to, as Hrywnak put it, "set high standards for league referees." Nunn has flown around the world to speak to leagues in Europe and Asia about officiating, training, and league regulations. Magley's vision is that the teams would become closely involved with their communities, noting "we can do things with the players and inner-city kids, summer camps or give tickets to and working with local schools." Turned out that Magley headed for Yakima after our Seattle visit this week where, among other meetings, he sat down with Yakima businessman Bob Hall, who had put together a local group to purchase the city's CBA team, the Sun Kings, to keep the team's then distant owners from moving to New Orleans, which had lost its NBA franchise. Hall told me after the meeting that Yakima, whose Sun Kings had been the first team in CBA history to show a profit and won four CBA championships, "could definitely support an NAPB franchise but successful requires local ownership that has its boots on the ground and that reaches out to the community to build relationships." Reflecting on his own career, Magley told me: "I lived a Walter Mitty life, growing up in a small town in Indiana, playing for a great college basketball team, getting a chance to play briefly for the Cleveland Cavaliers, then playing in Spain and Belgium." Passing the leadership baton is usually accompanied by fanfare and fond farewells, but for Dr. Paul Lange, who co-founded the Institute for Prostate Cancer Research (IPCR) and built it over nearly three decades into one of the most prestigious research institutions of its kind in the world, it was a low-key transition befitting his style. But once word of his retirement at the beginning of 2017 spread among his friends and admirers in the medical community and well beyond, there was a growing agreement that one of the true pioneers in prostate cancer research and treatment would not be permitted to quietly step aside. Thus commenced an initiative by those friends to raise the $2.25 million to create an endowed chair in his name, designated to the development of future leaders in prostate-cancer research. Those friends include a cadre of men in the region whose prostate treatments or surgeries were performed by Lange, as well as many, like me, who came to know Lange and learn of his impact on prostate cancer after their surgeries. In fact, because Lange learned a few years ago that he had prostate cancer and decided to have a prostatectomy, a bond of sorts developed between him and many others of us who, like him, turned to Dr. William Ellis, the UWMC prostate surgeon who is frequently referred to his patients as The Top Prostate Doc. An example of the reaction to the endowment effort came at a recent breakfast meeting where I advised a prominent Eastside businessman (who will remain nameless) about the endowed-chair campaign and he said "Great idea! I'm in for 100(assuming I understood the three zeroes following)." 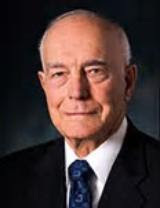 It was Lange who, among other leadership roles with prostate cancer innovations, was instrumental in bringing to prominence the blood test with the now universally known initials PSA to assess the presence of prostate cancer. In addition to working closely with the firm that developed the test, he was said to have been present the day the FDA approved it. 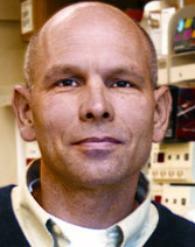 When Lange first learned of the endowed-chair effort, he was described as "especially excited." Those who know Lange know it wasn't because of any ego gratification about having the development of a chair in his memory but because of the role the funds would play in retaining the talent to create the research in the battle against the disease. As Lange has told me on numerous occasions, the IPCR, despite its world-class prominence, is urgently in need of further private support to keep it in the forefront as one of the leading research entities." IPCR ranks in the top 10 in the country for federal funding and is in the top five in prostate-cancer funding, with Lange estimating that over the years at least $60 million, mostly from NIH, has come to IPCR. But ironically, IPCR has dramatically lagged in raising the private funds that the NIH views as a key to its own funding decisions. "We are significantly behind the eight to 10 of the top prostate-cancer research institutions in the country in keeping up with private fund raising, which is essential if we are to retain a world-class team and explore new ideas that need to be developed because they are not yet advanced far enough for the NIH to fund," says Lange. 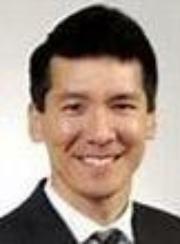 Dr. Daniel W. Lin, who has been Chief of Urologic Oncology in the Department of Urology at the University of Washington and recipient of numerous awards from his scientific peers, was tapped early this year to succeed Lange as director of IPCR. Lange has not yet actually retired from his work at the institute, only from the top roles. "One of Paul's greatest attributes has been his ability to motivate young scientists in their early research careers, inspire them to pursue novel investigations, and encourage them during the inevitable ups and downs of all scientific endeavors," Lin told me. "Paul had the insight and energy to bring together researchers and clinicians from across the Pacific Northwest to apply for federal grants as a collaborative research enterprise and to form the IPCR that continues to push the boundaries of prostate cancer discovery and progress," Lin added. Lange, MD, and Robert Vessella, PhD, had already been a team at the University of Minnesota for a dozen years when they decided in 1989 to accept an offer to come to the University of Washington to launch the collaborative effort that a few years later would officially become the IPCR. By then he had helped it become an unusual collaboration between the University of Washington School of Medicine and the Fred Hutchinson Cancer Research Center. The unusual team of Vessella, an academic prof, and Lange, a medical doctor, went on to build a world-class team and guide leading-edge research that have made Seattle a nexus for prostate-cancer research. As I wrote in a Harp I did on the 25th anniversary of the IPCR in 2004, "In a sense, Lange and Vessella were medical opportunists in deciding to focus on a cancer for which they thought there might be a light at the end of the tunnel." At the time there was basically no funding available for prostate-cancer research and, as Lange recalled for that column: "No one really cared at the time about an old man's disease." But far from being "an old man's disease," the number of younger men diagnosed with prostate cancer has increased nearly six fold with more than 10 percent of new prostate cancer diagnoses in the U.S. being in men younger than 55. And significantly, the disease is often much more aggressive in younger men, compared with a usually slower progression in older men. It's routinely said of accomplished leaders that their contributions are too many to list, but in Lange's case several are too important not to list because they frame essential chapters in the role IPCR has come to play on the global prostate-cancer research stage. One was a partnership that emerged in 1992 with Leroy Hood, who had recently arrived at the University of Washington, with funding from Bill Gates Jr, to found and chair the Molecular Biotechnology Department. The other was the relationship that Lange helped bring about between The Hutch and the University of Washington Medical School, viewed as so noteworthy as to be almost unique. Hood, already internationally prominent as developer of the automated DNA sequencer that was a key to the human genome project, recalled in an interview for the 2004 column how he and Lange, both then heading departments at UW, got together at a retreat in 1992 to discuss how genomics could be applied to prostate-cancer research. "We decided to work together and I outlined on a napkin at dinner a genomic approach to prostate-cancer research," Hood recalled for me. "Then Paul and I agreed to help Michael Milkin, as he created a series of seminal meetings on the genomic approach to prostate cancer." "Lee was hugely instrumental in putting us in the national spotlight," Lange said. "Thanks to a variety of influences, Lee decided to devote a large part of his translational research efforts to prostate cancer. The support of the Michael Milkin organization to the tune of about $12 million over the years was largely due to the participation of Lee and his group in our research efforts." And one of the important developments from the relationship was the recruitment of Dr. Pete Nelson to prostate cancer research from Hood's lab where Nelson was working on another cancer. He has since then been Lange's key research leader at IPCR, where his work has garnered international honors and recognition. As Nelson, who has assumed the role of IPCR Research Leader, noted to me: "Paul created IPCR at a time when there were few bridges between The Hutch and UW and certainly to engage the two in community philanthropy was the kind of bond that just isn't seen." "I'd be hard pressed to name two medical research institutions in the world that raise funds together," added Nelson, whose IPCR role is noteworthy because he has continually turned down opportunities at the top research institutions in the nation to remain here. "Paul masterfully engaged scientists, administration, and community leaders to come together in establishing research priorities and allocating resources into the science that would most rapidly impact patients," Nelson said. "Through this effort, he was even able to obtain funding from the State of Washington that supported prostate cancer research." A third initiative by Lange and Vessally that was disease altering was the creation early on of what they called a "rapid autopsy program" in which metastatic cancer cells that are still living are removed from more than 20 bone sites of patients within a couple of hours after death. This Rapid Autopsy Program, the first of its kind in the world and still one of only a few in operation, has now been ongoing for over 20 years. More than 150 such autopsies have been done, resulting in one of the largest tumor banks on metastatic prostate cancer in the world. 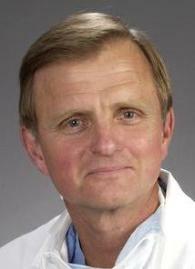 "It is quite safe to say that several of the major treatment advances in the field that have extended the survival of men with advanced prostate cancer were fueled by the UW-IPCR Rapid Autopsy Program," Nelson said. "Biospecimens have been shared with numerous investigators throughout the world--at academic centers as well as pharma and biotech companies, usually with the none-to-minimal cost to them." Of the initiative to gather the funds to create the endowed chair in Lange's name, Nelson told me it "will serve as a lasting and living legacy that will be used to support young scientists who embody Paul's curiosity, tenacity, creativity, and drive to eliminate prostate cancer." Lange has repeatedly predicted that prostate cancer "will be controlled if not mostly cured" in his lifetime, reducing the disease from the second leading cause of cancer death among men to a minor cause. And he believes the IPCR will figure prominently in this achievement. It seems appropriate to celebrate Independence Day 2017 by focusing on a couple of events designed to help remind us that our freedom was secured at the outset and ensured for decades since then not just by the men and women in the military, but by their families, who also served. One is the 55-year-old Marine Corps Scholarship Fund, whose purpose is to fund college scholarships for children of U.S. Marines. The event has gained growing recognition in the Seattle area since the first local fund-raising dinner three years ago. The other is a new scholarship named to honor widely celebrated Seattle-area Medal of Honor recipient Bruce Crandall and his late wife, Arlene. Although the Marine Corps Scholarship Fund was been an annual event nationally since 1962, providing more than 37,000 scholarships and $110 million in scholarship support, the first Northwest event was held in Seattle in 2014, raising $200,000. Even before that first Seattle event, the Scholarship Foundation helped scores of Marine children in Washington and the Northwest. But now it has grown dramatically in visibility and support, with the 2016 event raising $900,000. And that awareness is still growing since, as a Marine whose active reserve duty was in 1962, I first learned about it a few weeks ago when I met Tracy Garrett, the retired Marine major general who serves as campaign chair for the Northwest banquet, which will be held October 25 at the Westin in Seattle. I decided to do my bit for broader visibility when I learned that two longtime associates, Kirby Cramer, who as CEO guided Hazleton Labs into global leadership in its industry, and Karl Ege, Vietnam veteran, and prominent Seattle attorney and civic leader, were honorees at the 2016 banquet. Cramer was the Globe & Anchor Award recipient with Ege receiving special recognition. When I called Cramer last week to get a quote for this column, we talked a bit about our past service with the Marine Corps and he appropriately scolded me with "how can we know each other for years and I never knew of your Marine background?" Then he offered "This MCSF dinner introduces several hundred people to the wonderful work being done to provide higher education to the children of Marines, but the enthusiasm of their word of mouth exposes this event to thousands of their friends." At this year's Northwest event, the husband and wife team of Fred Radke and Gina Funes will be honored. 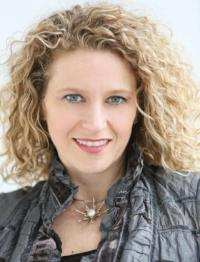 As bandleader and soloist they have been prominent entertainers in Seattle at first Westin then Four Season hotels and as faculty members, at University of Washington School of Music, they have educated many who became musicians. "It's worth sharing the impact the scholarships have on the children of Marines," retired Gen. Garrett offered. "Young men and women raise their hands to support and defend our nation and pull their families into the commitment with them. 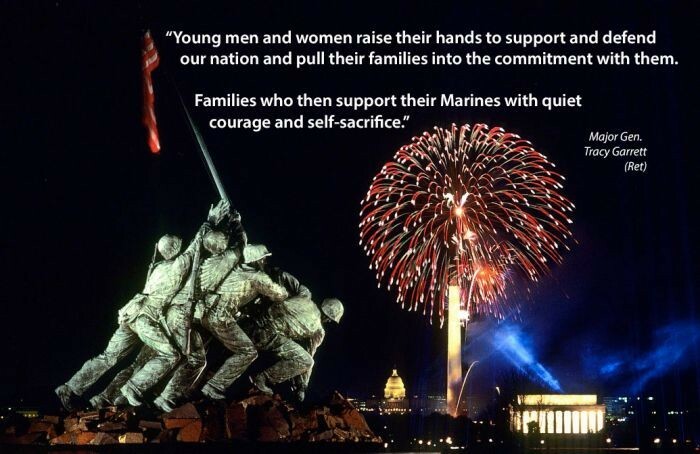 Moms and dads, husbands and wives and certainly the children support their Marines with quiet courage and self-sacrifice." Garrett, a UW grad, struck me as an excellent reminder that neither the Marines nor any other military branch, whether among the enlisted or officer ranks, are male bastions any longer. She retired three years ago after 36 years of active and reserve service with career highlights that included combat deployment in Iraq in 2004-2005, being the first woman to serve as Inspector General of the Marine Corps in 2006 and serving as Commander of Marine Forces in Europe and Africa in 2007 and 2008. The Bruce and Arlene Crandall Social Courage Award, created by their son, Steve, will be presented by Antioch University Seattle and is named for a military hero rather than being presented to a veteran or his or her offspring. But as Steve Crandall told me: "I always viewed dad's service as not just a sacrifice he made but in which my mother was a partner." "We often recognize those in the service but this is to recognize her sacrifice, a woman left with three young boys, including a year old infant, while her husband was off on the first of two tours in Vietnam," Crandall added. "She was an example of the truth we now recognize - that you don't have to go off to war to serve your country." Bruce Crandall was an Army helicopter pilot whose prominence was tied to his heroism at the Battle of Ia Drang. The role in the battle taken by Crandall and his wingman, Ed "Too Tall" Freeman flying their 'copters nearly two dozen times into what amounted to an under-constant-fire Death Zone to drop supplies and evacuate wounded was featured in the book We Were Soldiers Once...and Young, and the movie, We Were Soldiers. Crandall and Freeman were both awarded the Medal of Honor, the only time that two helicopter pilots were so honored for the same battle. The younger Crandall, a member of Antioch's Board of Governors and CEO of ProMotion Holdings in Seattle. said $55,000 has been raised with the goal of awarding the first $5,000 scholarship this fall. He said the plan is to award scholarships quarterly to an undergraduate and one to a student pursuing a masters degree. The award, for which applications are now being reviewed, is meant to empower Antioch Seattle students "with a desire and vision for engaging our community in addressing critical social issues," Crandall said, noting that "those who are veterans already can attend courses free at Antioch." Going back to the Marine Corps conversation with Cramer, I shared that my post-retirement business travels on a somewhat regular basis to Orange County and San Diego have provided me considerable reminder time of Boot Camp in San Diego and advanced training at Camp Pendleton those 55 years ago. Whenever my Alaska flight lands in San Diego, I focus on and recall the huts of boot camp visible not far beyond the airport. And on the occasions when I drive from Orange County to San Diego, the path crosses Camp Pendleton where sometimes training exercises are going on not far from the beach that is the west side of the mostly arid hills of the base. Anyone who has been through Marine Boot Camp isn't likely to forget the not just physical by also psychological training that prepared Marines for whatever was to come. When William (Bill) Ruckelshaus, a Watergate "hero" who knows a bit about how to deal with presidents, offered some advice in a nationally syndicated column to President Donald Trump, it set me searching for a column I did on him six years ago in which he derided "this era of inflamed partisanship and ideology." Ruckelshaus, who served two presidents as head of the Environmental Protection Agency and was talked about as a vice presidential candidate for another, was the email interview for a recent Bloomberg column in which he offered "there is only one person who can shut down all the current speculation" surrounding the Trump administration. How the President reacts to the advice "to turn over all the information he has and instruct his minions to do the same" is fodder for someone else's column. This Harp is about the thoughts he shared in late 2011 about the attacks on the EPA. But almost equally compelling was his recollection of the time, despite the accusations then surrounding a president who was eventually forced to resign, when Congress functioned with an inter-party cooperation impossible to imagine now. Ruckelshaus, since moving his family to Seattle in 1975 to become vice president of legal affairs for The Weyerhauser Co., has been a prominent business figure in the Seattle area, including as a principal in the Madrona Investment Group. He was honored as a Laureate of the Puget Sound Business Hall of Fame. In our interview six years ago, there was a detectable sense of both disappointment and frustration in his voice as discussed what he termed the "most violent anti-environment rhetoric in recent memory coming from Congress" in attacks on the EPA. As evidence of frustration, Ruckelshaus said "recent attacks are particularly mindless because they give no credence to the original bipartisan support for the creation of EPA," which came into being by executive order of Republican President Richard Nixon in December of 1970." "It was at a time of public outcry that visible air pollution and flammable rivers were not acceptable," Ruckelshaus recalls. "And as EPA was being established, the Congress passed the Clean Air Act in a burst of non-partisan agreement: 73-0 in the Senate and 374-1 in the House." It's difficult, in this era of what he calls "inflamed partisanship and ideology" to even imagine there was a time when such agreement between political parties and both houses of Congress could occur on any issue. The fact that Congress could with virtual unanimity approve what obviously was legislation that assumedly made some members uncomfortable would be viewed as "historical fiction," or maybe "Fake History" by some political ideologues today. Ruckelshaus was named by Nixon to be the EPA's first administrator, then was called back by President Ronald Reagan, to be the agency's fifth administrator. His name has become synonymous with environmental protection, which doesn't mean he's always defended the tactics or decisions of those engaged in protecting the environment. For example, he acknowledged in our interview that "it's important to be careful about what power you give government and government hasbe careful about how it exercise that power." He suggested it's "almost a given that abuses will occur," but posed the question: "What's preferable, the possibility of abuses that must be reined in, or no rules? In order to provide the framework in which freedom can function, you have to have rules." A sense of disappointment is evidenced in his reaction to what's evolved over four decades of the public's attitudes toward the EPA and environmental oversight. In a memorable speech some years ago as he accepted a national environmental award, Ruckelshaus characterized the public's, and thus Congress', view of environmental initiatives as "violent swings of the pendulum." Ruckelshaus, now 84. has to be a disquieting persona for those engaged in what he refers to as "virulent" and "mindless" attacks on that agency. After all, Ruckelshaus has impeccable Republican and business credentials, making it difficult for those seeking to dismantle the agency he guided to characterize him as a crazy environmentalist seeking to punish businesses and destroy jobs. His Watergate role came about when he resigned from Nixon's Justice Department in 1973 rather than accept the President's order to fire Watergate special counsel Archibald Cox hours after the Attorney General Elliott Richardson was fired by the President for refusing to fire Cox. Ruckelshaus was the 29-year-old Republican legislative leader in his home state of Indiana before he came to prominence in the Nixon Administration. Those who have grown tired of the dysfunctional nature of verbal rifle shots that have replaced Congressional debate might wish there was something at the national level like the William D. Ruckelshaus Center in Seattle. The mission of the center is to act as a neutral resource for collaborative problem-solving in the Northwest, providing expertise to improve "the quality and availability of voluntary collaborative approaches for policy development and multi-party dispute resolution." For anyone inclined to dismiss the wording of the mission as "policy-wonk" speak, it should be noted that the center has successfully brought together parties to build consensus on a range of issues, perhaps most dramatically the Agriculture and Critical Areas Project. The landmark three-plus year effort aimed at preserving the viability of agricultural lands dealt with the issue of how to control farmland runoff without destroying the prosperity of farmers, a development that has unfortunately received little visibility. The center brought all groups, including environmentalists, farmers, tribes and local counties, to negotiate an agreement that was approved by the 2011 Legislature. The Center is hosted at the University of Washington at the Daniel J. Evans School of Public Affairs and at Washington State University by WSU Extension. It is guided by an advisory board of prominent local, state and regional leaders representing a broad range of constituencies and geographic locations. The board is chaired by Ruckelshaus. Members of the Seattle City Council who are proposing a tax on the gross income of Seattle residents they view as "the wealthy" need to come clean with those constituents who are actually hoping for additional revenue to deal with what they perceive as pressing city problems. "Come clean" means admitting up front that this won't provide additional revenue for the city to deal with any of those issues, including the homeless problem. The reason is that if the city council actually approves an income tax, suggested as 2 percent tax on the portion of gross exceeding $250,000 for an individual or $500,000 for a couple, it will be challenged in court, without question. The court case would then have to run its course, and the outcome be in Seattle's favor, before any tax could be imposed or revenue collected, several years at least. 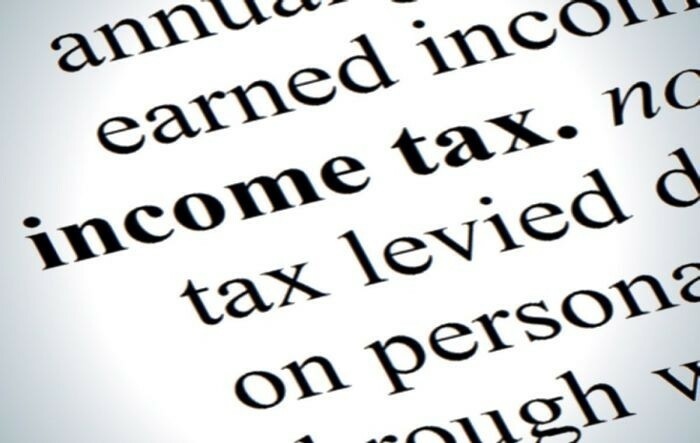 In fact, "come clean" would also mean admitting that a court challenge is really why proponents and the City Council are seeking to pass an income tax because those in favor of such a tax have become convinced that the ruling of the state Supreme Court in 1933 that an income tax is unconstitutional might well be reversed. The Seattle income tax proposal got its airing before a hearing of the City Council Finance Committee, derided by one business leader as "a pep rally for a tax on the rich," and in fact supporters attended the meeting waving "Tax the Rich" signs. One friend suggested, with a chuckle, that he was surprised Kshama Sawant, one of two city council sponsors of the income tax plan, didn't have a rag doll tagged "rich guy" that she could have used to bring cheers by turning it upside down, holding the heels and shaking as if to dislodge anything in the pockets. Former governor and U.S. Senator Dan Evans, who is probably this state's most visible long-term proponent of a state income tax, told me in an email "I think the Seattle income tax attempt is wrong on so many counts that it is hard to try to analyze. This is just soak-the-rich taxation by the left wing." Evans noted that his plan, which actually made the ballot but was rejected by state voters, "was tax reform with an income tax as part of it," repeating his oft emphasized belief that a net income tax only is legitimate if it is part of a full reform of the state's tax structure. "Trying to institute a city tax without a vote of the people is even dumber than thinking of imposing a tax on gross income," he said. "People always get a vote on issues like his. Ultimately the people of the state will decide this issue through their vote and attempts to circumvent that are recognition that they can't win a statewide vote." Indeed The pursuit of a way to get the Supreme Court to review the eight decades old precedent is based on the realization that the voters of the state don't seem likely to approve an income tax. And those who don't want the voters to continue to have the final say on the issue are hoping to find a way around that continued outcome. But the reality may be that a Seattle test of the existing constitutional ban on an income tax may leave proponents simply disappointed, rather than finding a backdoor way to undo the longtime prohibition. When the Olympia City Council sought to imposed a tax on incomes above $200,000 for individuals and $400,000 for couples, lawmakers in the Capital City took the approach of asking the voters, rather than telling them. Voters turned it down. But legal scholar Hugh Spitzer, who is generally seen as the legal expert approached for comment on the issue in this state, offered the comment before the Olympia vote that proponents of using a locally enacted income tax as the key to a court reversal of the 84 year old decision would likely be disappointed. Spitzer, who understood the Olympia proposal was meant as a "test case" seeking to address the constitutionality of the state's ban, predicted that a court will rule that code cities such as Olympia (or Seattle) can't tax individual income, avoiding the constitutional issue. In fact, some Republicans in the Legislature sought to remove any Supreme Court action with a proposed amendment to the state constitution that would specifically prohibit an income tax. Rep. Matt Manweller, the Ellensburg Republican who was a key proponent of the proposed amendment that never even got to a vote this session, noted that while voters "have been saying 'no' to an income tax for about 80 years, the shift seems to be from ballot measures to finding a sympathetic court." Voters in 2010 had an opportunity to pass Initiative 1098 that would have imposed a statewide tax on the net of high-income earners and reduced property taxes and business and occupation taxes. The measure passed in Seattle, but failed across the rest of the state. The perhaps intriguing thing about the history of losses at the ballot is that the one time voters approved an income tax, and did so by a pretty healthy margin, was in 1932 with an initiative okaying a personal and corporate income tax. That was the measure that was overturned by the State Supreme Court in 1933. The Seattle Port Commission's airing of the decision by the Port of Seattle staff not to renew the airport lease of Ivar's seafood chain left the port staff looking a little like the baseball team that sent a minor league pitcher to face the leading home run hitter. Bad news ahead. And unless the port has become an organization of people too new to understand the game, they have to be aware that bad news in the form of community pushback is what awaits if they throw the pitch, which in this case is tossing Ivar's Fish Bar out of the ranks of airport concessionaires. The heavy hitter, partly because of the iconic restaurant chain he heads and partly because of the community support this issue generated going into the port commission's regular meeting Tuesday, was Ivar's president Bob Donegan. A generally congenial and friendly guy, Donegan leveled a withering indictment of the selection process by which the port's staff decided not to have Ivar's continue to operate the spot it has held in the central terminal since 2005. Among Donegan's summary comments, each or which included details was that the process was flawed, the interview was "a sham," the evaluation panel "was simply not qualified" and the "scoring was seriously flawed." Amid demonstration of support for Ivar's, including delivery of a stack of 7,600 supportive emails stacked on a wagon that Ivar's shift manager Lisa Bray wheeled in, the port commission upheld the decision of port staff. That was in spite of the fact that a few days before the commission's meeting, Port Commissioner Stephanie Bowman said protest mechanisms created by port staff for companies that lose bids for airport concessions are flawed. And although Bowman supported the staff's decision, her comments about the appeal process are likely to help fuel community indignation that may well congeal in the days ahead. Bowman was quoted as saying "The protest procedure designed by port staff does not meet the standards I have for fairness and transparency, which is frustrating for those who were not winning bidders, and an unacceptable gap in the competitive process." The phrases that were offered by prominent people in the business community I talked with in preparing this column were "legacy" and "community interest." And it's those thoughts that are likely to fuel community discussion of the port's decision and the process in the coming days. "I couldn't believe it," was the first reaction from retired Port of Seattle executive Don Lorentz, who guided the port's commerce and trade development operations, basically its overseas activity. "The port in many ways is run as a business, but it's not a business, it's there for community interest as well," Lorentz said. In fact, the port is a government agency created by the voters of King County and supported by residents of the county, whose $72 million property tax levy this year represents about 11 percent of the Port's $620 million budget. Lorentz noted that even though the ferry service changed the company that operates its food services, "they made it clear they are still going to have Ivar's clam chowder." One of the points made to me in interviews was that perhaps the airport of a city, even an international city like Seattle, should strive to give visitors a flavor of the place where they are arriving by providing "legacy" status to certain airport vendors. "The airport is a local experience for those who come here and the vendors should reflect the flavor of the area," one suggested. "Ivar's is a wonderful example of Seattle legacy and once a legacy is lost, it won't come back and it's our job to guard against that." The port commission should ensure there is a provision in the vendor vetting process for legacy vendors, when in fact there's almost a penalty factor since a key to the criteria points is being a small, new business. The port commission, which apparently is already considering changes to the evaluation process for the next round of bids, has its next regular meeting June 27, and the process for those 12 restaurant spaces that go up for bid this summer could be altered to improve shortcomings. One change would seem to be creating greater transparency, since Donegan told me "when they sent us the 10 pages of written comment and numbers that were our scoring criteria, I asked if we could see the evaluation of the others and they said we could if we would sign a release that included no protest." I asked Donegan if Ivar's could bid on one of those 12 upcoming and he said, "Yes, we could, but unless the port changes the scoring criteria, it's hard for me to see how there'd be any different outcome." It's been satisfying to watch two close friends be among those seizing the opportunity that the era of self-publishing has offered entrepreneurs to seek the financial reward or personal satisfaction of writing a book about their business. The first is Teri Citterman, who worked for me a decade ago and whose book, From the CEO's Perspective: Leadership in Their Own Words, was published almost three years ago as the collection of interviews with 20 CEOs, all from different industries, each among the most recognized in his or her field. Insights to Grow, Build or Save Your Business! : Highly Successful Business Advisory Consultants Share Their Uncommon Advice For Common Business Situations. It is a selection from the columns they've written over the past three years. As a retired publisher and the writer of a weekly email column for the past nine years, I've found a growing number of friends wanting to explore the possibilities of column or book. And in some cases I've encouraged them or offered to provide some guidance. 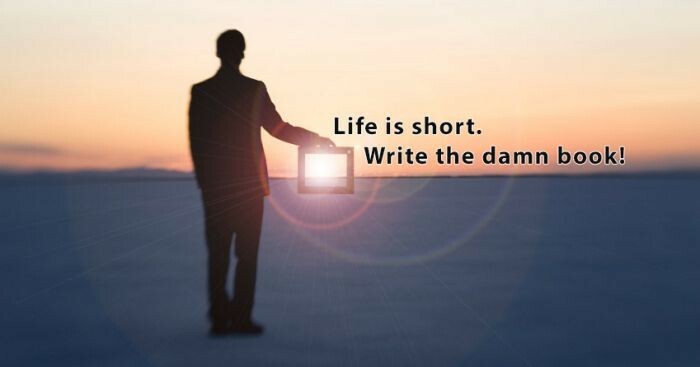 In fact, I've come to believe, and espouse, that business people with experiences from which others could benefit ought to seriously consider doing a regular column, as email or web blog, either to just share insights or as the first step toward a book. I had a forgettable bit part in the production of Citterman's book. She asked me if I would introduce her to two of the CEOs she wished to meet to interview and I declined, not being aware at the time of the positive impact she would have on the CEOs she interviewed or the quality of the pieces that she would produce for the book. As it turned out, she reached out to the two CEOs on her own and both have become her friends and admirers of her work and her interview ability, along with the 18 others she interviewed to create her book. When she had a debut party for the book, she asked me to say a few words on her behalf and I joked to those on hand that one of the reasons she was successful with the book was that she had paid no attention to me. In Davis' case, it was a series of conversations in which I urged him to do a column and advised him how to go about it that resulted in a bi-weekly column over the past three years, then the book, which is a collection of the columns grouped by subject. I learned of Davis' book in amusing fashion, being summoned to the Fairmont Hotel table where mutual friend Mike Kunath gathers friends and associates most afternoons to discuss an array of topics and where Davis was waiting to hand me his newly published book. He told me to open the cover and read what was printed on the facing page, which was a thank you to several people, and to me for convincing him he could write a column! Citterman had already been doing some executive coaching and told me she was "hearing a common theme from CEOs. They were wondering, not WHO are the next generation of leaders, but WHERE are the next generation of leaders." She says she then came across research that said nearly 60 percent of U. S .companies face a leadership talent shortage. "So, I got curious and started asking my clients and other CEOs more questions ,which lead to an amazing amount of wisdom and insight, that I wanted to share with others," she explained. "Thus the book." When I asked her what role the book plays in her business, she said: "The book is the air I breathe. It is the platform for my entire business." Citterman has proven to be a successful entrepreneur as well as writer, since in addition to coaching CEOs and their executive teams, she has created what she calls a "forum series called 'From the CEO's Perspective.' Every quarter I moderate a conversation with three CEOs discussing whatever leadership topic I think is most pressing," she explained. And Citterman, who was selected last year to be a member of the prestigious Forbes Coaches Council, is creating this fall "an exclusive, invite-only Leadership Lab to help newer executives elevate their thinking from the CEO's perspective." When I asked Davis about the blog that led to the book, he said: "it was started as a business development tool. But as we found more things to write about, it became a way to use the wide experience that we had in business and finance to give something back to the business community, especially owners and managers of small and mid-sized companies." "One of our biggest issues with our clients and potential clients is that they often wait until it's too late or almost too late before they talk with someone," Davis explained. "We hope that this book will demonstrate that they are not alone in their problem and there is someone to talk with about the seriousness of the problem." The meeting with Davis and Kunath, who does his own occasional blog on personal experiences and perspectives (and who gets credit for first introducing me to Citterman 15 years ago or so), wound up with : "Now it's your turn to write a book." So with some 470 Harps to choose from, I've decided to explore the possibility of collecting some in a book. Although the Harps were never meant to be anything other than an outlet to share information on interesting people, companies and issues, it has developed a business aspect as I get increasing number of outreaches from people who would like to explore doing their own email column or blog and want guidance on how to go about it. And should a book of Harps emerge, I doubt anyone would be more pleased than a Spokane friend, Kate Spencer, a media person with the Spokane Club. A decade ago when I was evaluating the idea of creating a column and discussed it with her, she said: "You should call it Flynn's Harp, since the Harp is such a beautiful Irish instrument and if you wish to rag -or Harp-- on someone or something, it will be appropriate. So the name was instantly set that day. And since Spencer has now written a book herself about life experiences, she frequently has followed our conversations about what might come from the growing number of columns with a firm: "Write the damn book!" Removals of Robert E. Lee's statue in New Orleans and a Confederate monument in Louisville were designed to pluck from prominent display the symbols of that dark chapter of American history represented by the War Between the States over slavery. 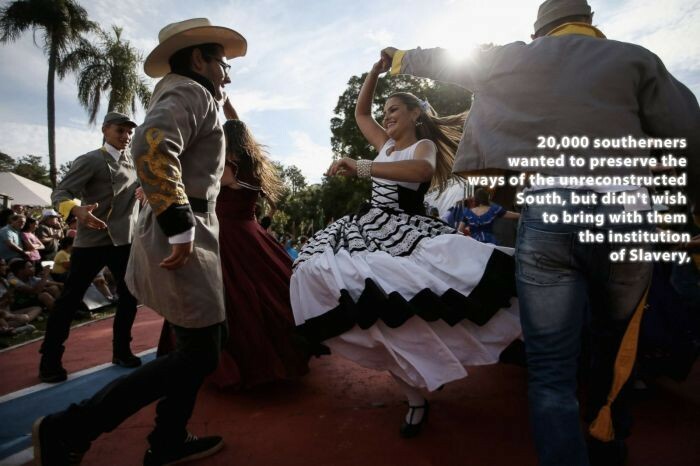 Meanwhile, a hemisphere away, descendants of Confederates who emigrated to Brazil after the Civil War were celebrating the 150th anniversary of the arrival of their ancestors in what would be their new country. Perhaps proving that history is too complex to be rewritten or expunged, the celebratory gathering of some 2,600 confederate descendants at their annual picnic at Cemeterio do Campo, the cemetery where hundreds of "Confederados" are buried, included the continuing honoring of their flag, the Stars and Bars. The story of the Confederates, hailing mostly from Georgia, Alabama and Texas but with every state represented and amounting to the largest emigration in U.S. history, doesn't get attention in books on American history. And the fact that the more than 20,000 southerners wanted to preserve the ways of the unreconstructed South, but didn't wish to bring with them the institution of Slavery, may merit some interest from historians unless the effort that some see as seeking to sanitize history is successful. However, My friend Gary Neeleman, who with his wife, Rose, was at the cemetery for the 150th event, has published the definitive story of that slice of American history and was there to take orders for his book, recently published in Portuguese but with discussions under way with a U.S. publisher for an English version. The title's English translation, "The Migration of the Confederates to Brazil: Stars and Bars Under the Southern Cross," is the account of how Brazilian Emperor Don Pedeo II successfully sought to attract the Southerners who didn't wish to be restored to U.S. citizenry. The Brazilian government set up informational agencies across the Bible Belt and offered to pay relocation costs for all Americans willing to make the move. The first arrivers were met at the dock by the Emperor, who welcomed them to their new home. The emperor's goal was to plant the seeds of Brazilian prosperity, including creating a cotton industry, by importing the self-exiling Southerners, who settled southwest of Sao Paulo in two communities a couple of miles apart, Americana and Santa Bárbara d'Oeste. Neeleman, a longtime colleague at UPI and a friend of 45 years, who has been the subject of several Harps over the years, first visited the cemetery in 1963 as UPI's Brazil manager. The idea for a book began to take shape on that first visit. Neeleman, now a robust 82, has made more than a dozen trips to the cemetery since then, often with Rose, as they gathered information from descendants and collected photos from them. Because of his close ties to Brazil, and his official role as Brazilian Consul in Salt Lake City, Neeleman is sometimes asked to take guests to the annual gathering at the cemetery. Thus a few years ago, he escorted former president Jimmy Carter and his wife, Roselyn, and presidential press secretary Jody Powell and told me, "It touched your heart to see their tears as they looked over the Georgia graves and 'Dixie' was played." "That first time I visited the cemetery, driving out in my '49 Hudson Hornet, I was shocked at the extent to which these people were still entrenched with their history," he recalled. "The stars and bars of the Confederate battle flag is visible everywhere but it's important to know that wasn't the flag of the Confederacy. Rather they look upon the flag that was carried into battle during the civil war as the symbol of their states' rights," he added. Among the interesting bits of information in Neeleman's book is that not only did those descendants reject the opportunity to have slaves in Brazil, where slavery remained prominent at the time, but at least one former slave came along. "A black woman named Sylvia, a free woman, insisted she wanted to remain with the family for which she had been a slave and so she accompanied them to Brazil," Neeleman said. Neeleman details the contributions the Confederate descendants made to their new nation, including helping make Brazil a leading cotton exporter, as the emperor had hoped. "MacKenzie College was founded by the confederates in Sao Paulo and, with five campuses around the country, it is one of the top colleges in Latin America," he said. "And a second-generation Confederate founded the big hospital in Sao Paulo, Samaritano Hospital, where three of our kids were born," he added. One of those was David, who founded Jet Blue and is now CEO of Azul, one of the largest airlines in Brazil. "People in the United States consider that Confederate battle flag the symbol of slavery but for these people, it's a symbol of their ancestors' way of life," Neeleman said, noting that "not only are the flags prominently displayed on the graves, but some insist their caskets be wrapped in the flag." The highlight of this 150th anniversary picnic, Neeleman told me, was when the American and Brazilian flags were raised, along with the Stars and Bars, over the gathering of some 2,600 attendees, and the "Star Spangled Banner" was played along with "Dixie." A parade included the great great grandchildren of the original southerners carrying the flags of the 13 states of the confederacy. Perhaps to touch lightly on the effort to expunge things Confederate from U.S. awareness, Neeleman observed that when the band at the cemetery struck up Dixie, "it was reminiscent of when Abraham Lincoln faced the crowds after the victory of the North over the South, and people thought he was going to give a victory speech. Instead he turned to the band and ask them to play Dixie." The visit to the cemetery was part of a challenging week for the Neelemans, with three stops in Brazil to promote the book on the Confederates and a trip back home to UCLA to be recognized by the Brazilian studies department for his third book, Rubber Soldiers, just published this month in English about Brazil's key role in World War II (see Flynn's Harp: Rubber Soldiers). "Even some of the people from Brazil studying there said they hadn't been aware of the role their nation played, in sending thousands of their countrymen into the jungles to restore the rubber harvest to producet the rubber without which the allies might not have been able to wage war against the Axis powers," Neeleman told me. Soon after Mike McGinn took office as Seattle's new mayor in 2009, he was speaker at a business breakfast and was overheard telling an aide as he was sitting at the head table waiting to be introduced, "these are not my people." Those in the business community soon came to understand McGinn wasn't their "people" either and sought to help support the election of Ed Murray, the longtime legislative leader who ran against and ousted McGinn in 2013. But Murray turned out to be only marginally better for business and his only bow to the needs of the business community was a frequent refrain as his term progressed that he'd be open to help business "but business can't tell me what they need." And he spent little time reaching out to business leaders to find out. Now Murray, driven to end his re-election bid amidst the growing furor over law suits contending he had sexually preyed on troubled young men years ago, leaves Seattle entering a time of uncertainty as the contest for a new mayor begins. No one takes pleasure in Murray's travails. But the fact remains that as Seattle prepares to find a new mayor and business people began discussing how to seek to take advantage of the opportunity to find a business friend, a candidate that most feel at least understands both business and the political process has filed to seek the office. That's former U.S. Attorney Jenny Durkan, a woman of power and influence in Democratic party ranks but viewed by most business people as a throwback to a time when "liberal" included being a Democrat who understood the importance of the business community to a vibrant city. Among those happy to see Durkan in the race is Bob Wallace, CEO of Bellevue-based Wallace Properties. When I called to talk to him about the Seattle political scene leading up to Durkan's announcement of her candidacy, he quipped: "I told Kemper (Freeman) that he should send a big bouquet to the Seattle City Council for all they are doing to make Bellevue look good to business." Of Durkan, Wallace said "I'm pleased to see her decide to run. She is liberal, smart and pragmatic and she'd be an infinitely better mayor than any of the others in the race." Wallace, although a conservative Bellevue business leader, has made a point over the years to also immerse himself in Seattle's business leadership, serving in key roles in both the Seattle and the Bellevue chambers of commerce. Wallace says that although what he views as the "drift to the far left" by Seattle's elected leaders is "potentially jeopardizing our economic future," he suggests that "Seattle's major companies could care less" because Seattle represents only a small part of their business empires. But smaller businesses do care and the growing contrast between the apparent attitudes of Seattle and Bellevue elected officials toward business needs is being increasingly noted. A friend of mine is launching a new business with offices in Seattle and Bellevue and told me that "many of the Eastside people we are hiring wouldn't be coming to work for us if we didn't have a Bellevue office because they simply don't want to have to get into Seattle each day." It's important for Seattle business leaders enthused about Durkan's candidacy not to talk of her as pro business because that's not only possibly inaccurate but for sure potentially damaging to her candidacy in a community where that's obviously a negative for many Seattle voters. The key is that she certainly brings an understanding of business, how it operates and its legitimate role in the success and future of Seattle. Durkan wouldn't be the first Seattle woman mayor. That role belonged to Bertha Knight Landis, elected to a two-year term in 1927, having been the first woman elected to the Seattle City Council five years earlier and becoming president of the council when re-elected two years later. Business became her fan, incidentally, before she won elective office when she orchestrated a weeklong Women's Educational Exhibit for Washington Manufacturers. Staffed by more than 1,000 women, that bolstered the spirits of the business community during a period of severe recession. Landis defeated incumbent Edwin J, "Doc" Brown in 1927 in a campaign in which her theme was "municipal housecleaning" was needed in the Seattle government, an approach that could appeal to moderates on the left this year. One issue that's already certain to be a mayoral campaign issue on which all these seeking the office will be pressed to explain their positions is the proposed city income tax on higher-income individuals. Most announced mayoral candidates at the first mayoral forum, prior to Durkan's announcement, expressed support for an income tax. In fact the idea was proposed by McGinn, who is seeking to regain the mayor's office. Candidate positions on the effort to impose an income tax of unspecified amount on high-income individuals, with no clear indication of the definition of "high income," will be interesting to watch take shape during the campaign leading up to the August primary when the top two vote-getters will move on to the November general election. 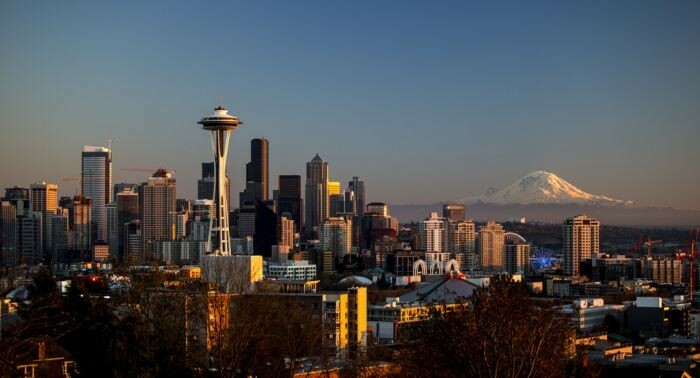 Seattle is the second stop by the supporters of a state income tax who have embarked on a process observers have described as "city shopping," looking for a local electorate or elected body willing to impose an income tax to get the issue before the state supreme court. Olympia voters rejected the idea in November. Only the uninformed could fail to realize no income tax is going to be imposed in Seattle for the foreseeable future so it can't provide revenue for the city that proponents say is needed now. Rather the hope for a court test is that the 5-4 majority decision by the State's highest court in 1932 that an income tax was unconstitutional would be reversed by a far more liberal court 85 years later. But the fact that the 1984 legislature outlawed a local income tax imposed by cities or counties means a first court test would be about state law rather than the constitutionality of an income tax. As for Durkan's view on the issue, she quickly debunked the idea at her announcement news conference, saying a city income tax is "probably not constitutional," and in addition she thinks it's "not be the solution we need now." 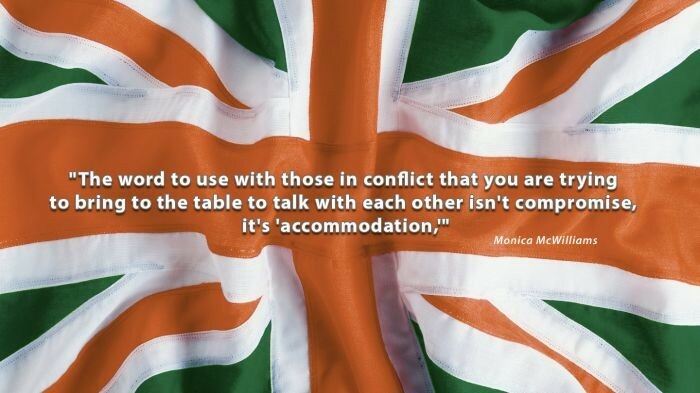 Monica McWilliams, who played a key role in negotiating the Belfast Good Friday Agreement and was the only woman to sign the pact that ended decades of violence in Northern Ireland, never brought the idea of compromise to any negotiations. "Compromise is a weak word," she told me in an interview recently in Seattle, where she was visiting for the first time to appear at a fundraising event for the Northern Ireland Human Rights Fund. "The word to use with those in conflict that you are trying to bring to the table to talk with each other isn't compromise, it's 'accommodation,'" McWilliams said. "When you say to those who refuse to compromise with their enemy 'but you understand we need to reach some accommodation with these people if we are going to end the fighting,' there is always at least a grudging agreement to accommodate each other's views somehow to settle the conflict." 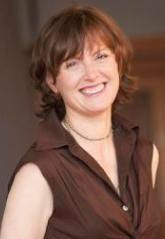 The Seattle visit was arranged by Microsoft alum RoseMarie FitzSimons, now an Irish filmmaker who still retains a home in Seattle, which she visits from Ireland several times a year. But she has mostly been on the road for months, following McWilliams on her travels to countries in turmoil around the world. two Irish women who have sought to create a political future that includes the voice of women in peace negotiations that inevitably emerge in war-torn regions. One is McWilliams, raised in Northern Ireland, who was a leader among women who saw an opportunity to break what they viewed as the closed circle of male power that had dominated Northern Ireland politics for years and to create a new political future that included the voices of women. She hopes to create a process to end bloody contests not just in her native nation but in disputes around the globe. The other, FitzSimons, a woman who grew up in the Irish Republic 70 miles from the border but saw "the violence happen every day in my backyard." She is directing her film-making talents to bring McWilliams' story and the changes she has brought about to a broad audience. FitzSimons said part of the impetus for documenting the role McWilliams has played is "the archaic mindset of those in politics, the arrogance and attitudes that prevailed in patriarchal Northern Ireland at the time, that saw neither the value nor importance of women participating in the peace talks." "Some of the men gathered for the talks made comments like "the only table women should be at is the one they're going to polish," FitzSimons told me. "Sectarian and sexist insults were common. Comments like the women 'should stay at home and breed for Ulster,' or that their place was to 'stand behind the loyal men of Ulster', at which point McWilliams and her colleagues stood up and started to sing 'Stand By Your Man.'" It was the women of Northern Ireland who pressed the men to the negotiating table when they said, basically, "we don't want to be a country that is made up of widows so this has to stop." Being reminded of that point prompted McWilliams to tell me: "women are always involved in working the community silently so they merely get a footnote in the history of conflicts. Less than 4 percent of peace agreements have women signators." McWilliams already had a tie to Seattle, in addition to working closely with FitzSimons, because it was she who brought Boston police commissioner, now Seattle police chief, Kathleen O'Toole to Ireland. That came about as McWilliams was visiting Boston and met O'Toole, who was serving as the first female police commissioner, and decided "it might be really good to have women on the commission to reform Ireland's police so I recommended her." Thus O'Toole became a member of the commission and eventually chief inspector of the oversight body responsible for bringing reforms to the 17,000 member Irish national police service. A champion for human rights, women's rights and equality, McWilliams' focus is also international, sharing Northern Ireland's lessons of peace-building with other countries seeking to emerge from conflict, ranging from Colombia, Syria and Myanmar to the Israel-Palestinian conflict. She likes to say they are places where "violence of the tongue has led to violence of the guns." 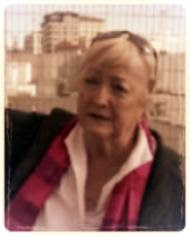 FitzSimons sought out McWilliams four years ago, soon after ending a 19-year career at Microsoft to concentrate on filmmaking, specifically to do a film about the lessons of the peace process but it soon became a film to focus on the role of women in peace negotiations in all countries. "With my film, I'm connecting the role of women and civil society in peacemaking and bringing the Northern Ireland women's story into a contemporary context," FitzSimons said. "I just got back from Gaziantep, Turkey," Fitzsimons emailed me recently. "I was there to film Monica as she worked with the Syrians. With my film I'm connecting the role of women and civil society in peacemaking and bringing the Northern Ireland women's story into a contemporary context." She hopes to complete the film late this year or early next, FitzSimons said, noting that "because of the human rights violations and violence women suffer, when they negotiate it's not about land but rather a focus on the future for their children and for society." When I asked FitzSimons where her film's working title, "Wave Goodbye to Dinosaurs," came, from she explained: "A group of women holding a planning meeting in Belfast came up with that phrase for a poster to market what they were doing." "One man said 'why are you calling us dinosaurs?' FitzSimons explained, to which she said McWilliams replied 'Do you see your name on that poster? Stop identifying yourself with the dinosaurs.'" It would be laughable, in this era of unbridgeable political divides, to envision an elected official who nurtured his image as "liberal Democrat" while priding himself on being "the congressman from Boeing." But that was Mike Lowry, the former governor who died early Monday after suffering a stroke. Because of our 50-year friendship, beginning when he headed the staff of the State Senate Ways & Means Committee and I was the Capital reporter for UPI, this Harp will be more of a personal reflection on Lowry than a catalogue of who he was and what he did. He was this state's epitome of the progressive politician for 40 years. He believed in the environment and cared deeply about the needs of farm workers, causes he was still involved with at the time of his death at the age of 78. Lowry was an urban politician proud of his rural roots, growing up in the Palouse community of St. John, and his education at Washington State University. It was in his desire to get things done for job-creating big business that he was unusual for a Democrat. He brought his political power to work on behalf of Boeing and other large companies because he felt it was the state's role to help companies that provided high-paying jobs. Thus while being viewed by small business as the enemy, he was generally held in high regard by big business, including Boeing, which quietly supported him in his successful bid for governor in 1992. It was soon after the election that Lowry called me to meet for breakfast to talk about possible candidates to head the state department of trade and economic development . I thought it would be cool to meet with the governor-elect at the WAC, maybe Rainier Club or even the Four Seasons. Then I learned that his favorite breakfast spot was the Denny's on I-405 north of Renton. Nothing too fancy for Lowry and thus it became the place we met regularly over the years. Lowry wanted to know what I thought of Mike Fitzgerald as a potential director of the agency. Because Fitzgerald was a friend and a fellow Montanan who got his economic development start working personally, right out of college, for the governor, I said "he'd be great." Fitzgerald, now president and CEO of the Denver South Economic Development Partnership, worked directly for or with nine governors during his years in economic development and told me in a telephone conversation this week: "I have never worked for anyone who loved their state more than he loved Washington state and its citizens." "He understood and could articulate the role of the triple bottom line of successfully balancing the economy, the social agenda and environmental considerations," Fitzgerald said, noting that Lowry "was personally involved in Washington landing two of the biggest tech-industry coups in the country at that time." He was referring to Lowry ensuring the state took the steps necessary, including things like new freeway interchanges and face to face meetings, to land Taiwan Semiconductor in Clark County and an Intel plant in southern Pierce County. The antipathy of small business, particularly small-business organizations, was cemented from the outset of Lowry's single term as the state's chief executive (he didn't seek a second term partly because of the publicity that surrounded a sexual harassment action by a former press aide, which was settled). 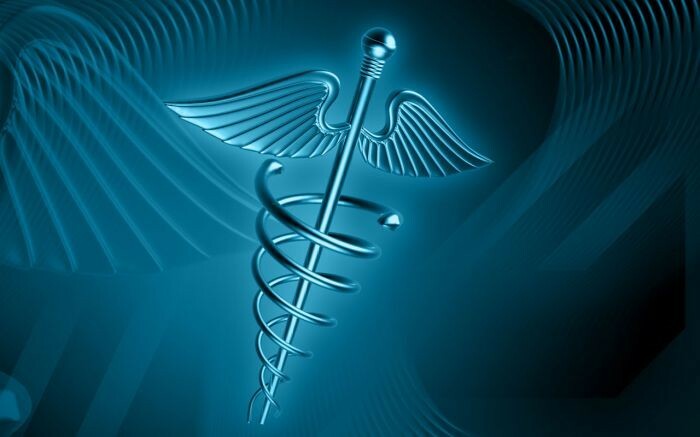 That antipathy was particularly true after he guided legislative enactment of a statewide system of health insurance with premiums based on ability to pay, a law that put a lot of cost pressure on small businesses. It was the anger of small business toward Lowry over the healthcare law, in addition to is his guiding the 1993 Legislature to double the business & occupation tax for service businesses, that led to my most amusing memory of him. I had sought his partnership with The Puget Sound Business Journal to put on a Governor's Conference on Small Business. He agreed but as small business antagonism toward Lowry intensified, I grew concerned about the kind of animosity he might face when he appeared at the conference. So I met with him the afternoon before to express my concern and urge him, when he opened the conference the following morning, to just thank the business people for being on hand and wait until the end of the day to make positive comments about things he was doing for business. "Good advice," he said as we sat in his office going over the agenda. So I was stunned when he opened the conference doing exactly what I had advised him against. As a result he was pummeled throughout the day by negative comments about him, directly or by innuendo, from the array of speakers from the various sessions. I was worried when he left quickly without attending the closing-session cocktail party. And more so the next day when I received an anxious call from the person in his office assigned to work with me on the conference. "I am very worried because he called his entire staff together this morning, expressed his anger and said 'I am going to find out who was responsible for the embarrassment I suffered,'" the staff member told me. I contacted Lowry and asked if we could meet in his Seattle office to review the conference. As we sat down facing each other, I said: "Governor, I get the impression you are unhappy about the conference. If there was a problem, there are only two people who could be responsible. You are looking at one, and you see the other one in the mirror." He flipped his arm up as one of those ear-to-ear smiles spread across his face and he said: "I don't have time to worry about yesterday's irritations, so don't sweat it." Don Brunell, retired president of Association of Washington Business who often crossed swords with Lowry and other Democratic governors on business issues, told me not holding a grudge was a Lowry trademark. Brunell offered the comment: "Lowry never personalized anything. He could blow his stack at you one day and be genuinely smiling the next." Lowry served 10 years as the state's 7th district congressman and twice ran for the U.S. Senate, losing to Dan Evans in a special election in 1983, and to Slade Gorton in 1988. before returning to the political wars to run for governor in 1992. He won, defeating state Attorney General Ken Eikenberry to win his lone term. After his '88 loss to Gorton, he returned to Washington state along with Dan Evans, who had decided not to seek re-election, and the two joined together to initiate the Washington Wildlife and Recreation Coalition (WWRC). "Since we came from very different political backgrounds we were soon dubbed the 'Odd Couple,' Evans recalled in an email to me. 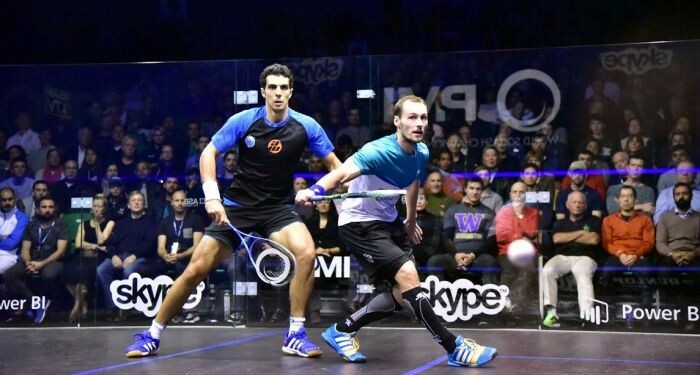 "I think we both enjoyed the title and both have seen a huge result from that small beginning." 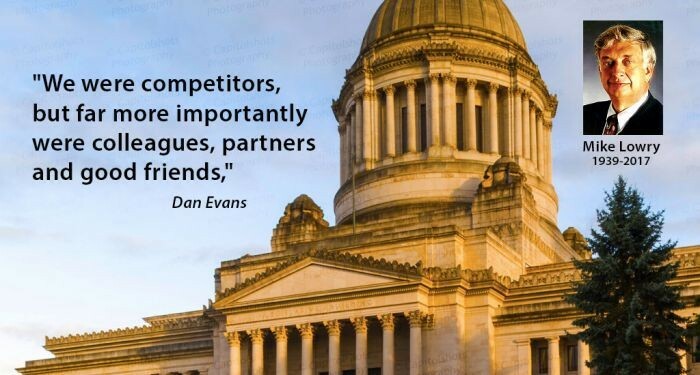 "We were competitors, but far more importantly were colleagues, partners and good friends," Evans added. Brunell praised Lowry as an elected official with integrity. "While most of them promised not to raise taxes and sometimes wound up doing so, Lowry said he would only raise taxes as a last resort." He did raise the B&O tax dramatically in 1993 but cut back on half the increase two years later. Said Evans: There was never any question what Mike believed and he worked tirelessly on issues, always with peace, people and progress in mind. We lost a first rate political leader, a passionate believer in people, and I lost a good friend." Fitzgerald said Lowry's favorite personal saying, repeated half a dozen times in private meetings with him, was from Thomas Jefferson, who talked of a goal of seeking to create "an aristocracy of achievement arising out of a democracy of opportunity." John Buller, whose senior executive roles have ranged from higher education to sports to retailing to non-profits to community organizations, has experienced and helped reshape an array of cultures over the years since he arrived in Seattle to play basketball for the University of Washington. And the immersion in those disparate cultures has led him to publish his second book, "Can You Survive the Age of Disruption," more than two decades and numerous disruptive involvements since his first book. "Survival Guide for Bureaucratic Warriors." Buller prefers to describe his latest book as "a resource guide to creating the all-in culture," which he sums up as "all about outcomes that bring interpersonal skills that are collaborative in nature," although in his book he details elements needed to bring about an all-in culture. "I have always been interested in leadership and culture building," Buller told me. "But I believe we are now experiencing a rate of change that demands a new way to look at how organizations manage the pace of this change." "We are at a point where there are three generations in the work force at the same time," said Buller. 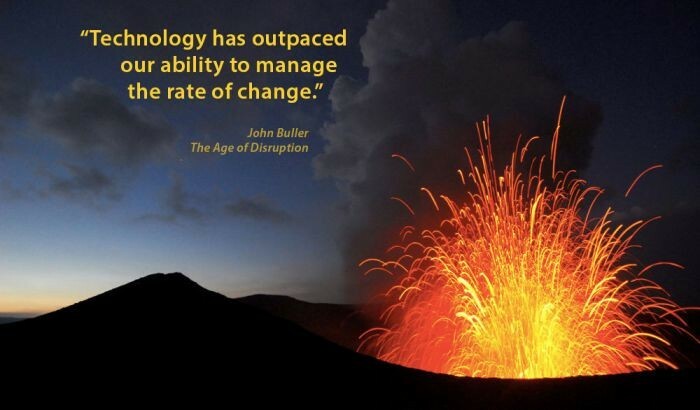 "And within a few years we'll have four generations, and technology has now outpaced our ability to manage the rate of change." Buller's first cultural "all-in" was college basketball, having been recruited in 1965 to come to UW. He led the freshman team in scoring and was sixth man, starting 10 games, in his sophomore year. But a viral inflamation in the heart lining impacted the rest of his playing career. Over the next two years and three promotions, he became divisional merchandise manager and eventually senior advertising and brand development executive. It was at The Bon where, he says, he had his favorite job. "I was responsible for changing the 4,000 employees from a clerk mentality to a customer service mentality and I also got to do more than 40 two day team building workshops to support this cultural transformation.," Buller recalls. The Bon experience led him to write "Survival Guide." "Changing the culture at The Bon was an effort to focus on service, both to our customers and our internal attitudes toward our fellow employees," Buller explained. "The book was about my learning the difference between a 'Soldier,' someone who takes orders, and a 'Warrior,' one who has a mission or a cause. I learned how to be a Warrior." He took the warrior attitude, and the details of building survival skills, to roles as co-chair and director of the organizing committee for the NCAA Final Four in Seattle in 1995, executive director of the UW Alumni Association, CEO of Tully's Coffee and CEO of the Seattle Police Foundation. His non-profit leadership roles included chairing the board of Seattle Seafair and a dozen years on both the Seattle Center Board and the board of the Washington Athletic Club, where he currently serves as executive director of the 101 Club. Buller chuckles as he explains his often used process of creating All-In by having the marketing and the accounting teams each put together a business plan for the company. "As you might guess, there wasn't a lot of similarity between the two plans. So I'd leave the room and say 'I'll be back in 20 minutes. Fix it while I'm gone." Buller suggests "organizational leaders seeking to create new cultures "are tasked with an almost impossible amount of required intelligences." "Today's Leadership needs to be proficient in understanding the 'Meyers Briggs Profile' - knowing yourself and understanding others that was the intelligence lesson of the 1980s and early 90s - then, along came 'Emotional Intelligence,' which focused on street smarts vs. book smarts," Buller explained. "Over the last 10 years you would have also needed to be competent in understanding the 'Social Media' explosion. Then, it helps if you have 'Ethnic Intelligence,' as well as 'Religious Intelligence', and 'Immigration Intelligence' - and now, the biggest new understanding is 'Generational Intelligence.'" Buller suggests "they have a social consciousness and they don't want to work somewhere that doesn't fit that. They think broad workplace experience, meaning horizontal movement, is better. They are looking for the perfect culture and perfect outcome." "If you don't believe the statement that if you can't change you're dead, look at what's occurred with the Fortune 500 over four decades," Buller says. "In 1975 the average age of the companies in that index was 68, now the average age is eight." It's been five years this coming Memorial Day since the formal launch of the 50th Anniversary Vietnam War Commemoration to honor those who fought in that war but were never thanked when they returned to a divided nation. And for four of those years, Joseph L. (Joe) Galloway, one of the best-known correspondents of that war, has been on the road doing interviews with veterans of that conflict to preserve their memories. Galloway's travels to do the interviews, mostly about two hours in length and which he told me last week now number about 350, embody his commitment to produce the "the body of material for future generations who want to know what this war was all about." Galloway, a UPI reporter decorated for battlefield heroism at the battle of Ia Drang 50 years ago last November, spent a week doing interviews in Seattle two years ago. Now he is returning to the Seattle area next month to do another round of interviews with Vietnam veterans. I've written several columns on Galloway and his role in the 50th Anniversary Commemoration, partly because we were UPI colleagues (he in war zones and I as a political writer and later a Pacific Coast executive for the company). But more important in a broader sense because of a fascination with his perspectives on the war in articles and speeches, and the import of the battle in the Ia Drang Valley that Galloway and the late Gen. Hal Moore, then a lieutenant colonel in command of the U.S. army forces in that battle, made famous in their book and a subsequent movie. Ia Drang was the first clash of American troops with North Vietnamese regular army and involved heavy fighting in two main engagements that claimed casualties in the hundreds on the U.S. side and several thousand on the North Vietnam side. Galloway later described it as "The battle that convinced North Vietnamese leader Ho Chi Minhhe could win," a conclusion that it turns out was shared by then-Defense Secretary Robert McNamara after he assessed details and the import of the Ia Drang battle. But McNamara's conclusion, shared with President Lyndon Johnson, never saw the light of day until years later. The battle became the subject of Galloway's and Moore's book, "We Were Soldiers Once...and Young," and the resulting movie, "We Were Soldiers," as well as a second book, "We are Still Soldiers... A Journey Back to the Battlefields of Vietnam" when the two returned to the battlefield years later. Galloway continued his correspondent role on into war in Iraq and Afghanistan and those who admired his work included the late General Gen. Norman Schwarzkopf, who referred to him as "the finest combat correspondent of our generation -- a Soldier's reporter and a Soldier's friend." 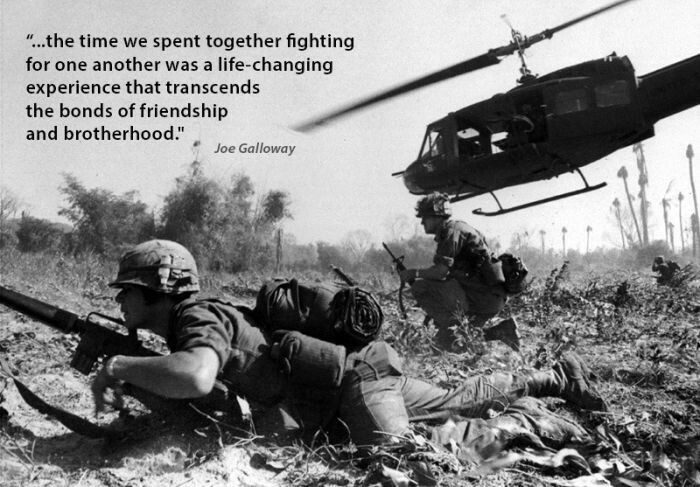 And of his time on the battlefield, particularly at Ia Drang, Galloway said: "The men I met and the time we spent together fighting for one another was a life-changing experience that transcends the bonds of friendship and brotherhood." One of my first columns on Galloway dealt with my urging him to come to Seattle after I first learned, in October of 2014, about the commemoration and his role in it. He told me he'd need a place to do the interviews so KCPQ-13 offered its studios for the week and Galloway became briefly a high-visibility figure in the area, including an interview at Seattle Rotary, as he helped the group of veterans who each spent an hour or more with him have the opportunity to share their memories. And also to accept the belated thank you that the attention represented. Galloway's comments during his stay here and with the interviews themselves have also been Galloway's revisiting of his own memories of Vietnam. During one of our interviews, Galloway said of the veterans: "They are not bitter but I am bitter in their behalf. It make me angry that those who came to hate the war came to hate the warriors who were their sons and daughters." He's also shared his own emotions that accompanied other activities related to this trail through the commemoration events. He told me of one occasion a couple of years ago where he and the governor of Kentucky shared the podium at an event for Vietnam veterans that was at the state capital at the Kentucky Vietnam Veterans Memorial, which he described as "one of the most spectacular in our country." "It is in the form of a giant sundial," he said. "Incredible work was done so that when the tip of the shadow from the sundial pointer hits the memorial floor it points to that day's list of Kentucky soldiers who were killed in action on that date in Vietnam." "It brought tears to my eyes to see the pointer land on those KIA in the Ia Drang Valley in November 1965," he said. The recent retirement of Lt. Gen. Stephen Lanza as commanding officer of Joint Base Lewis McChord was a reminder of Galloway's last visit, and the coming one, since a commemoration Lanza put on as only the second such event at one of the nation's military bases preceded the Galloway visit by four months. That high-visibility JBLM event in early October of 2014 was a Commemoration tribute that attracted more than 2,500 Vietnam veterans from around the Northwest onto the parade field for a salute ceremony, massing of the colors and Keynote speech by retired Gen. Barry McCaffrey. Lanza had said he noticed that Vietnam Era veterans were among those enthusiastically welcoming soldiers home from deployment to Iraq and Afghanistan. He said he realized of the Vietnam veterans: "they had never had that" welcome-home reception so he helped create a thank you opportunity. Galloway's visit May 22-25 for interviews with the veterans will include a Vietnam War panel discussion at Shoreline College with Bruce Crandall, the helicopter pilot and Medal of Honor recipient from the Ia Drang battle whose exploits were detailed in the book and the movie, and former POW Joe Crecca, along with Galloway himself. My most recent column on Galloway was in mid-February, the outgrowth of an email from him about the "hard duty" he had of delivering a eulogy for General Moore, the Ia Drang commander and his friend of 50 years, who had died that week two days before his 95th birthday. From her window in the Oregon Supreme Court Building, the state’s newest Supreme Court justice can look across State Street in Salem to the Willamette University campus where her higher-education journey began 31 years ago. Meagan Flynn, already Judge Flynn as an Oregon appellate court judge since October of 2014, was sworn in last week by Chief Justice Thomas Balmer after being named by Gov. Kate Brown to the state’s highest court. She’ll have a new office but the surroundings will be familiar since both the supreme and appellate courts share the same courtroom. Indeed those who know her would echo that, particularly her parents who left her standing on the sidewalk in front of Willamette waving goodbye 31 years ago. And as Betsy and I drove away then and headed back to Seattle, past the Supreme Court building, Oregon’s oldest government building, we had no way of imagining it would be where she would eventually office. As readers of The Harp have guessed by now, this is a personal column, a reflection on our daughter, mother of two of our grandchildren, who wears the judge’s robe. Meagan had a goal of being an attorney from early on because her role model was her cousin, Sheila McKinnon, who was then a successful Seattle attorney. Some of the following is reflections about Meagan from an earlier column I did when she was appointed to the Court of Appeals judgeship. I recalled that as she prepared to graduate from Holy Names Academy in Seattle, where she was salutatorian of her class, I urged her to apply to Stanford because her friend, who was valedictorian, was applying there. "It would be cool if you could say you were accepted to Stanford," I told her, even though I knew she had already decided she wanted to attend Willamette. To my surprise, though likely not hers, she was accepted to Stanford and I feared she would decide she wanted to go there since it would have been a financial challenge for us at that time. But the ducks on the stream at Willamette, which were the initial attraction the day she first visited the school (although its academic reputation and its law school had roles in the final decision), had already drawn her interest to Willamette. Good thing, since that's where she met her husband to be, Dan Keppler, who was also intent on become an attorney, though eventually Gonzaga law school won out for both of them and after graduating they built partner-role practices at separate small firms in Portland. Along the way also came two daughters. Meagan always had a competitive bent, which she usually did a good job of hiding, except as a seventh grader in Piedmont, CA, when she found that a male student was challenging her for top student. Her jaw always locked a bit when the male student’s name came up in conversations. The two of them ran for 8th grade class president (except the title was commissioner general) in a hotly contested race that she won, expressing smug pleasure at coming out on top. The call from Governor Brown was the second from an Oregon governor for Meagan since then-Gov. John Kitzhauber was on the line one evening when she answered the phone. The story comes from her husband, Dan, since Meagan is not one to talk much about herself. Of course, due diligence had preceded the call, as it did with the appointment to the highest court late last month. When she was sworn in to her Court of Appeals post in 2014, the judge administering the oath was the same judge whom she had gone to work for as a clerk 20 years earlier, soon after he had taken his oath as a then-new appeals court judge himself. He brought to her swearing-in session a picture of that first clerk-judge meeting in 1994. Meagan is taking her place on the state’s highest court as its youngest, as well as newest, member. One of the most noteworthy accomplishments of Gonzaga coach Mark Few in his team's inexorable march toward the NCAA National Championship game, despite falling short in the finale, may have been the destruction of the oft-quoted axiom that "nice guys finish last." That "nice guys" comment obviously isn't a reference to the angry Bulldog mascot, Spike. But it is the agreed-on description of Few, who grew up in a small Oregon town, the son of a Presbyterian minister, and who didn't leave behind the lessons of his youth. Despite the fierce competitiveness of his players that has been on display for the nation to see during the past few weeks, they are described by a GU trustee who has spent an extensive amount of time with them as "selfless, disciplined, family." Gonzaga and Few fell short of their quest for college basketball's pinnacle in their Mondaynight loss to North Carolina in the NCAA championship game and the pain will burn for a time for the coach, his players and fans. But his nice-guy trait was on display, despite the pain of the loss, in the post-game nationally televised interview when Few declined the opportunity to blame the referees for the loss with a couple of calls generally viewed as in error, saying instead "the referees were excellent." 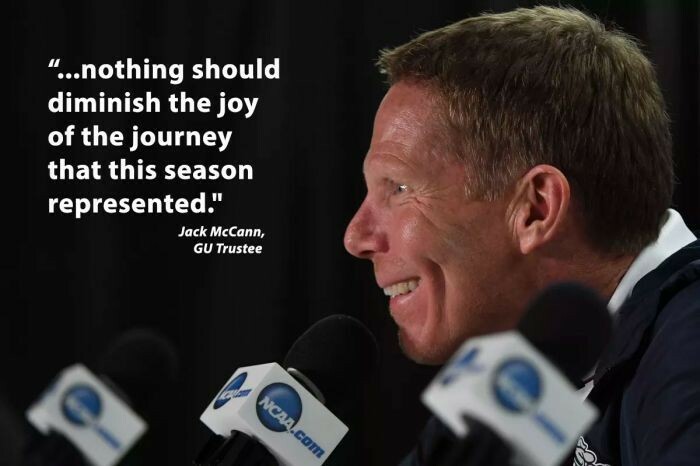 And as Jack McCann, a longtime GU trustee who offered me the above characteristics of the team, said to me in a phone conversation before the final game, "nothing should diminish the joy of the journey that this season represented." He meant not just for Few and his team but also for the family of supporters, fans and boosters. Indeed McCann, a GU trustee since 1997 and founder of the prominent South King County land-development firm, the Jack McCann Co, and other trustees and close supporters have proven themselves part of the GU family over the years. That includes hosting the coaches and players at their vacation homes, including getaways to Cabo to McCann's beach home and the neighboring Cabo home of Mike Patterson, prominent Seattle attorney and also a trustee. But Few doesn't use Cabo trips as a recruiting tool! And McCann was quick to sign off in the early 2000s on the idea the players should travel on charter rather than commercial flights before that idea was on the radar screen of most schools. 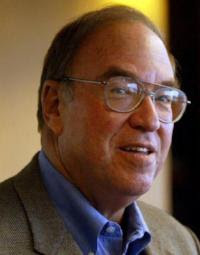 As John Stone, a successful Spokane developer who came up with the idea of offering his private plane and convinced two others to offer theirs on away-game trips, explained to me in our phone conversation "it became a way to make sure the players were back home in their beds that night and in their classrooms the next day. They are student athletes of course, not just athletes." McCann was among the trustees and friends who over the years that followed that first private-plane travel year put up the $100,000 apiece to both pay for the flights and allow the supporters to travel on the plane with the team and have seats near the bench for those away games. By the mid-2000s, that was the routine for travel. And it was Stone who pointed out the importance of the "family" role played by the Greater Spokane community in chipping in $6 million of the $26 million it took to build McCarthey Athletic Center, the 6,000-seat facility on the campus, competed in 2004, that opposing teams dread visiting. The community involvement was in the form of a "seat license" plan where members of the Spokane community committed to $4,000 to $5,000 a year to license certain seats in "the kennel" where the seats come right down to the floor. Few's Oregon upbringing in Creswell a stone's throw from Eugene and the fact he graduated from the University of Oregon created one of the untold human-interest stories that media usually thrive on but someone missed this time. With Gonzaga and Oregon in the Final Four, I was surprised there wasn't a lot of focus, at least some focus, on the possibility that if the Bulldogs and Ducks each won the first game, Few would have been trying to beat his alma mater. In fact, another story is the possibility that Few might have been coaching Oregon rather than Gonzaga in this Final Four, but that story is known only in a close circle. The conversation in basketball circles, and among Gonzaga supporters, over the years of NCAA tournament appearances, has been when would Few be attracted to a bigger opportunity. After all, having been at Gonzaga since joining the coaching staff as a graduate assistant in 1989, becoming full-time assistant a year later and becoming head coach after the school's Cinderella 1999 drive to the Elite Eight, Few's tenure has been an unprecedented loyalty to what has been viewed as a mid-level program. The fact is that McCann, sharing the story with surprising candor, was personally aware of a full-court press Oregon's athletic director and famous alum Phil Knight put on Few several years ago to return to his alma mater. But the effort was unsuccessful in attracting him away from Gonzaga. Supporters are aware the time may come when Few is attracted to a new challenge at another university, but everyone now knows it won't be the lure of a more respected basketball program. Only nine schools have matched Gonzaga's 2017 record of 37 victories in a season. And Few is one of a handful of coaches to achieve 500 victories, all at the once lightly regarded Spokane school. Few and his wife, Marcy, have three boys and a girl and in perhaps the most significant example of the importance of family to him is the story of when Few was once asked by a sports writer if the start and end of each basketball season represented the most exciting and most downer times each year. He replied that the most exciting time each year was when his kids got out of school and he had a whole summer to spend with them and the most disappointing time was when they returned to school in the fall. So much for the appeal of fame and glory. Gonzaga's desire for sports recognition actually dates back almost a century to 1920 when the Spokane school, with fewer than 200 students, embarked on a quixotic quest for football fame by hiring a big-time coach, Gus Dorais, who had teamed with Knute Rockne at Notre Dame to perfect the forward pass. It was a quest, I once referred to it in a Harp some years ago, as an "Ozymandian delusion," that brought Gonzaga an improbable post-season appearance two years later against West Virginia in a 21-13 Christmas Day 1922 loss that earned Gonzaga top visibility in the next day's New York Times sports section. That was the only moment of national football glory for Gonzaga, though the program continued until the outbreak of World War II in 1941 when it was discontinued and never brought back. During its 20-year run, Gonzaga football produced some players who became nationally prominent and one, Ray Flaherty, went on to become, for a time, the most successful coach in the National Football League in the late '30s with the Washington Redskins. Gonzaga basketball, however, is secure now as a program nationally respected. And the "Nice Guy" and "family" characteristics engendered by Few, the school and the supporters may well become the most envied part of what Gonzaga has brought to college basketball. McCann refers to it as "a magic carpet ride" for all the segments of the "family." When the Seattle Mariners take the field for their home opener April 10, there will be at least some in the crowd who will recall that it was opening day 25 years ago when there was finally a cautious optimism that the uncertainty about the future of the franchise had been resolved. A team of local owners had been assembled, buttressed by a Japanese businessman devoted to Seattle, awaiting hoped-for approval from Major League Baseball. And it's on occasions like a quarter-century anniversary of a major event that those involved in creating outcomes like the saving of a major league franchise for Seattle find that little-known facts of the story come to the forefront of memory for sharing. Thus this Harp will be dedicated to a collection of several such stories related to that Mariners' accomplishment that made opening day 1992 special for not just the 56,000 fans on hand but also for supporters across the region. 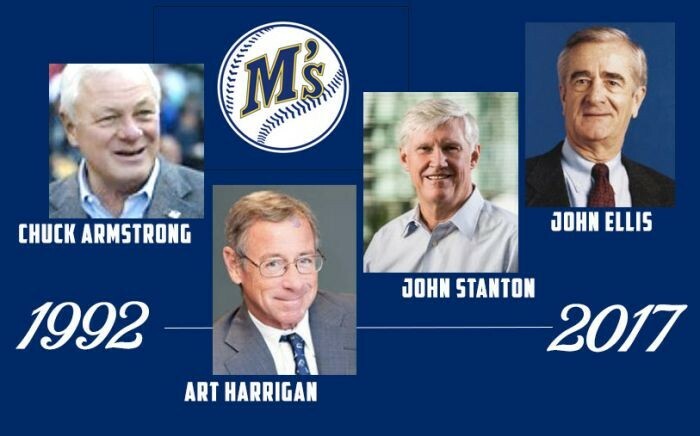 There was an appropriate major celebration at Safeco Field last May to recognize Slade Gorton for his essential role as a U.S, Senator in finding local buyers for the Mariners in 1991 after then-owner Jeff Smulyan announced he was planning to sell the team, triggering a clause giving 120 days to find local owners. It was in December of 1991 that Gorton learned that his effort to convince Nintendo CEO Hiroshi Yamauchi to invest, not as a baseball fan but to repay the community that he felt had helped his company become successful, had paid off. And it was January 23 of 1992 that the announcement of the group of local investors to be named the Baseball Club of Seattle and led by the Japanese billionaire would buy the team to keep it in Seattle. But it would be two months beyond opening day in 1992 before The MLB ownership committee would recommend approval of the purchase of the team by the Baseball Club of Seattle. So, as Randy Adamack, Mariner Senior Vice President for Communications, noted to me "While there was more optimism that April about the franchise staying here, the approval issue still had people holding their collective breath." The 120-day clause and the local-owners search provide interesting memories for those most closely involved, and retired Mariners president Chuck Armstrong shared a couple of them in a telephone conversation this week. Armstrong was attorney and advisor for George Argyros, the Southern California businessman who had purchased the Mariners in 1981 from the original ownership team, and Armstrong served his first stint as president of the Mariners when Argyros sent him up from Southern California a couple of years later. The 120-day provision had actually been inserted in 1985 when Argyros and King County Executive Randy Revelle were negotiating a change in the Kingdome lease and Argyros suggested it as a "closer" to get county council approval. Armstrong recalls that the reason for suggesting the provision was that Argyros "didn't want to go down in history as the guy who sold to a distant owner and thus let the Mariners leave town without providing time to find local owners." "He was okay with a new owner living elsewhere, as long as he didn't move the team," he added. Armstrong recalls "George never gets credit for that 120-day clause, but he had learned that nothing happens in Seattle, because of the endless focus on process, until things are in extremis and when something reaches that point the community would respond." Bur Argyros did become basically loathed in Seattle in 1987 when he sought to buy the San Diego Padres to be closer to his Southern California home after the death of owner Ray Kroc. armstrong notes that it was the suggestion of Baseball Commissioner Peter Ueberroth's, who said he would find someone to buy the Mariners. Then in 1989 came the offer from Smulyan that set in motion everything that followed. Armstrong was also involved in trying to help sell the Japanese ownership to MLB, remembering that he called his friend, George W.Bush, then managing partner of the Texas Rangers, explained the challenge and asked if his father, President Bush, might be interested in helping with the issue. "One day the phone rang and a woman said 'the president is calling.' I asked 'President of what?' and she said a little icily, how about President of the United States.'" Armstrong said it turned out that Baseball Commissioner Faye Vincent had worked for the elder Bush in the oil fields and they had remained friends. "I can't honestly tell you what, if any, role the president took in our issue, though both Bushes indicated they had no problem with a Japanese owner" chuckled Armstrong, who as the only one of the new local ownership who knew anything about running a baseball team was brought back as president on July 1, 1992. He retired three years ago. One of the most interesting stories and one that I've felt should be shared ever since I first heard it, is how new CEO and majority owner John Stanton had wished with all his might to be part of the ownership team in 1992, but told me some years ago "I didn't have the money." For those who might find that startling or amusing, remember that wireless pioneer Stanton had recently departed McCaw Cellular with Craig McCaw's blessing to launch Stanton Communications with his wife, Theresa Gillespie, and they had sunk all their capital into that venture. The company would in 1994 become Western Wireless, which went public in1996 and spun off VoiceStream Wireless in 1999. "We had the opportunity to invest in 1992 and passed because we were funding payroll for about 100 employees out of our personal checking account," Stanton emailed me this week. "In 2000 we had the opportunity to buy John McCaw's interest in the team. And we have been involved since then." McCaw's 1992 investment had represented a substantial piece of the original commitment by the 17 owners and it wasn't until he decided to sell that he shared the fact he had only invested for the sake of community and that he hadn't really been a baseball fan. The final recollection truly little known, except for those closely involved with the effort to save the Mariners, is of the legal battle in which Seattle attorney Arthur Harrigan won the right for local ownership to be sought. I wrote last year, as Gorton's key contribution 25 years earlier was being celebrated, about the role played by Harrigan, whose firm of Calfo Harrigan Leyh and Eakes got into the battle because it represented King County and Smulyan was seeking to abandon the county-owned Kingdome. The venue for resolving the future of the Seattle Mariners franchise was what amounted to an arbitration hearing before Arthur Andersen, the national accounting firm agreed to by both sides to decide some key issues relating to the lease and the team. Since it wasn't a court process, which would have gotten large visibility for the battle between attorneys, Harrigan's maneuvering over the meaning of wording in Smulyan's contract regarding an attendance provision and whether it triggered the 120-day clause got little visibility, and is thus little remembered. Harrigan's argued interpretation of the lease-requirement wording was accepted by the Andersen firm, so Smulyan was required to give the four-month opportunity for a local buyer to be sought. Of perhaps equal importance, Harrigan successfully argued that there should be a local value lower than the open-market value. The accounting firm agreed and set a "stay-in-Seattle" valuation at $100 million, rather than the national open-market value of $125 million that it had determined. That created the opportunity for Gorton and others leading the effort to keep the team in Seattle to find a local buyer for $100 million, rather than $125 million, within four months. And that led to Nintendo. John Ellis, the widely respected, retiring CEO of Puget Sound Power & Light, was a token partner, along with retiring Boeing CEO Frank Shrontz, to add business respectability to the wealthy but lesser-known Microsoft and McCaw Cellular entrepreneurs group. Ellis was picked to lead the group's effort to gain baseball's approval, becoming managing general partner, eventually becoming CEO and guiding the team through the rest of the '90s and setting the stage for the team's 2001 MLB record-tying 116 victories. The 1992 "opening night" that is actually best remembered was the owner-change celebration on July 16, 1992, billed as a second opening night. Unaccountability on the part of a public entity, no matter how well cloaked in good intentions or alleged importance of mission, inevitably leads to arrogance when there is no requirement to answer directly to anyone for decisions. That, not surprisingly, leads to the kind of decisions that create a demand for accountability. 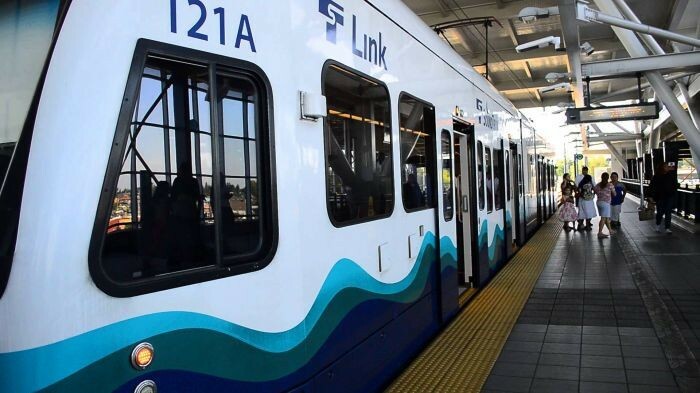 Thus hangs the tale of Sound Transit, in the view a growing chorus of critics. The sense is that the transportation agency officially known as the Central Puget Sound Regional Transit Authority may suddenly be caught with its arrogance on display and feeling the pushback from a public and from lawmakers who are coming to sense a possible need to recast the organization. The goal of legislation that has now passed the Republican-controlled state Senate and is awaiting action in House would replace the 18 Sound Transit board members, now local elected officials from one of the three Sound Transit counties with 11 directors directly elected by voters in districts that would be created by the legislature. The first broad perception of Sound Transit arrogance surfaced with the outcry from motor vehicle owners about the leap in the cost to renew their vehicle license after the excise tax this year had climbed dramatically, due in part to the vehicle valuation chart used by Sound Transit. Geoff Patrick, who handles media relations and public information for Sound Transit, explained that part of the reason for the large jump in MVET fees was that, in approving ST-3, the $54 billion long-term transit package in November, voters said ok to a major increase in vehicle excise tax. The outcry would suggest that many voters weren't really aware of that. Patrick was quoted earlier, as the MVET flap emerged, to the extent that Sound Transit could have used a vehicle depreciation schedule that would have meant a less expensive renewal fee but chose not to "for simplicity sake," to bring transportation relief quicker. Then came the visibility surrounding Sound Transit's legal battle with Mercer Island over its effort to end the ability of solo drivers from the island to access I-90 high-occupancy-vehicle lanes when the existing HOV lanes are closed this summer for construction of light rail. That solo-driver access was part of an arrangement that amounted to a pledge from state transportation officials to Mercer Island residents in exchange for letting the state cut the trench for I90 across the island. And finally, and perhaps defining for any battle to avoid accountability, came the flap over a political fundraiser for King County Executive Dow Constantine at the home of Sound Transit CEO Peter Rogoff for his boss and benefactor. As the flap unfolded, it became known that the planned event hosted at Rogoff's home for his boss might breach two clauses in the transit agency's own code of ethics, though it wouldn't violate any state fundraising laws, so it was moved elsewhere. But Rogoff made it clear he would still be one of the sponsors. It might seem strange to many political observers that Constantine, who holds the most powerful position on the Sound Transit board and is seeking reelection, would stand silently in the wings, awaiting the outcome of a key fundraiser flap rather then step forward and say, "This is an inappropriate issue. I am cancelling this fundraiser." Attendees for the party at its new location, it turns out, had to first RSVP online to learn the address. The disappointing thing about that is I was beginning to hope some newspaper photographer or television camera team would be on hand to document how many representatives of companies with multi-million-dollar contracts with Sound Transit would be on hand to pass some of the dollars back to the leader of the team. A focus on those companies with multi-million contracts may soon provide more negative publicity for Sound Transit when all the details of documents detailing the breadth and depth of the value of contacts Sound Transit has signed with nearly 550 companies to provide a wide array of services begins getting close media scrutiny. The documents were received by former King County Council member Maggie Fimia from Sound Transit in 2015 and detail all payments over $100,000 made to all entities, public and private, from 2007. When I talked with Fimia to get copies of the array of contract documents and inquired of her thoughts upon digesting them, she said of the array of contracts: "The breadth of the take was unbelievable." Touching on only one of the contract categories, Fimia offered "why do you need to spend $37 million on marketing and advertising if you have such a tremendous product?" And that didn't include any marketing costs for ST3. Sound Transit's Patrick told me that a rigorous competitive-bidding process is in place for contracts with the agency, other than services like legal, accounting, marketing and others where expertise and reputation come into play, since you don't low-bid legal services, but may negotiate with the selected supplier for best price. Fimia's 2001 defeat was allegedly aided by Sound Transit officials upset at her constant questioning of the agency's manner of operating and its dealing with the communities, questioning that clearly didn't end with her departure from the council. Charles Collins, whose impeccable credentials as a critic of Sound Transit are even grudgingly acknowledged by the agency's board, told me Sound Transit went after Fimia because "she was a continuing thorn in their side." "They are the 500-gorilla that no one wants to mess with and she kept messing with them, so they helped oust her," he said. She lost her reelection bid in 2001. Collins has been a constant critic of Sound Transit's focus on high-cost rail service because all statistics, including the agency's own environmental impact statement, indicate trains won't come close to attracting enough riders to relieve congestion. More like attracting maybe 2 percent of riders. Collins once told me that he and two former governors, Republican John Spellman and a Democrat, the late Booth Gardner, went to Sound Transit in the late '90s before the first vote embarking on rail as the key transportation underpinning with a novel new plan to provide a vehicles alternative that would carry far more passengers at far less cost. "But they didn't even want to hear our idea because they were about building a train, not focusing on easing congestion," he said, except for Rob McKenna, then King County councilman and later the two-term Republican attorney general and unsuccessful gubernatorial candidate. McKenna, incidentally, also lost his role on the Sound Transit board, bounced by then-King County Executive Ron Sims for his routine questioning of board decisions and priorities. Collins, Fimia and McKenna are among those, a list which now obviously includes some legislators, who have urged that spending and policy decisions in the future should relate to relieving congestion rather than focusing only on building a rail network. "Nothing has changed," said Collins, whose credentials include having been Spellman's Chief King County Adminstrator, Director of Metro Transit and chair of the Northwest Power Planning Council, the State Higher Education Coordinating Board and the State Commission on Student Learning. Indeed while Sound Transit operates some of the nation's most successful express bus services in addition to rail and light rail service to the region, there has been little doubt in the community that members of the board view themselves as creators of the region's light rail system. And the fact that the mode of transportation in the region's future has unfortunately become ideological, or maybe was from the start, is the reaction of a liberal commentator on Senate passage of SB5001 and that four Democrats joined the Republican majority in passing the measure to the House. The columnist said the four Democrats" betrayed Sound Transit and the progressive movement," and urged that "every activist and every organization who was involved in helping to pass Sound Transit 3 last year needs to pitch in to ensure that this bill gets a burial in the House of Representatives." Rogoff is an intriguing case, having been a strong supporter of bus rapid transit and critic of the "enormous expense to build and maintain rail" while head of the Federal Transit Administration. "Busways are cheap." Almost amusingly, now that he heads an agency dedicated to rail, he said in a speech back in 2010 that riders often want rails, "but you can entice diehard rail riders onto a 'special' bus sometimes by just painting the bus a different color than the rest of the fleet." He hasn't yet explained at what point between then and his joining Sound Transit that he changed his position of bus over rail, which he viewed as enormously expensive to build and maintain. If the idea of an elected board to replace the current appointed board is approved by the legislature, a new board might find it could dramatically reduce current and future expenditures by focusing on bus rapid transit and a much more zealous process of contract oversight for other than actual infrastructure expenses. Only contracts specifically relating to construction bond covenants have been held by the court as illegal to change. That doesn't likely apply to things like contracts with law and accounting firms and advertising and marketing agencies. or construction contracts that won't have been signed when an elected board might replace the current board. Brian Snoddy's lifetime focus on Samurai weaponry, which has led to a collection large enough that he is now looking for a museum to display it all, sprang from a second-grade project to create Japanese armor out of paper mache. Along the way since then, Snoddy became immersed in the Samurai culture that dominated Japan for hundreds of years until the mid-1800s while he also successfully pursued his career as an illustrator. In the early '90s, Snoddy worked as a comic book artist and on prominent Saturday morning cartoons like Conan the Barbarian, Disney's Gargoyles, Garfield and Friends, X-men, Jim Lee's Wildcats, and Exo-squad. Thereafter, was also a partner in a successful game company called Privateer Press, which he co-founded and co-guided until selling his share in the game company to help provide the money to build his collection. "I want to start a real museum that is dedicated to the kind of stuff I have, which is a collection that is like nothing in the U.S, that I am aware of," Snoddy said. "There are some very impressive private collections in this country but nothing that is open to the public." He estimated that his collection, which is stored in his apartment except for a suit of armor that stands beside his desk in his Lynnwood office, is worth about $120,000. While Snoddy is intent on finding a place for public display of his weaponry, he is also intent on helping attract interest to the time when the Samurai dominated Japanese culture. "This was an ancient, sophisticated culture that dates back more than 700 years," he said. 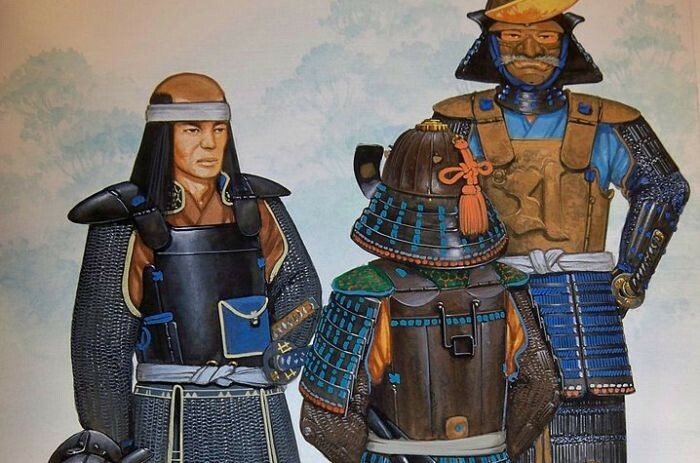 "It came from the warrior culture of Japan but basically ended in 1876 when Japan decided to modernize, realizing it was out of touch with other countries and cultures, but that also meant modernizing its military." "It was development that had to happen at some point since Japan had cut itself off from the rest of the world, until Commodore Perry sailed his ships into Tokyo Bay and forced Japan to open itself to the outside world," Snoddy explained, sharing a bit of history. Snoddy noted that the Samurai made an attempt to come back a few years after they were banned in what is known as the Satsuma Rebellion, a revolt against the imperial government, "but they got annihilated," he said. He recalled that he bought his first suit of Samurai armor, "probably dating from the 1700s," when he was 25, adding that by then he was also buying sword fittings, such as handles. "I now have nine suits of armor, five helmets but only two swords, plus a "naginata," which he explained was a pole with a long sword-like curved blade on the end, and I was intrigued to learn when I did a search on "naginata" that it was primarily a weapon of female warriors of the Japanese nobility. That caused me to chuckle, frankly, as I thought "Ah, a society ahead of its time in some respects." Snoddy said the place he'd like to find to display his Samurai weaponry "would ideally be a working museum that would include people who could identify artifacts, publish books as well as provide audio and video products and have guest speakers from around the world." Snoddy is not alone in his interest in the Samurai weaponry. California has two large Japanese sword-owner gatherings: the Northern California Token Kai (Kai means club, Snoddy said) and the Nanka Token Kai, Southern California Japanese Sword Society. Plus, he said, there is a convention in Florida each year. But those are gatherings of sword owners, not collectors of the full array of weapons. Snoddy laughed when he shared that his interest in Japanese culture isn't limited to medieval times, since he met his wife, Makiko, there when they were introduced after, as he put it, he was dumped by his Japanese girl friend at the same time she was bemoaning the loss of her U.S. pen pal from whom she was learning English. They were married soon after. With a backdrop of the movie "Patriots Day," described by its director as "unapologetic in support of law enforcement," a special gathering took place in Seattle last week to honor First Responders, the police and firefighters who are asked to come through in time of crisis. It may have been the first event of its kind and certainly was a first in Seattle. The event, without advance media hype and with no speeches and no elected officials present to distract from the "thank you" for the honorees, was the idea of Greg Steinhauer, president of American Life, with key support from the Seattle Police Foundation and a few local corporations who put up the money to make the event possible. The event began at the Cinerama theater, where the movie "Patriots Day," the film about the 2013 Boston Marathon bombing and the subsequent manhunt for the terrorist brothers, was playing. It a wound up with a social gathering at the Westin downtown. The importance of the movie to Seattle and the First Responders gathering is that Robert Merner, now an assistant police chief in Seattle, is a featured figure in the movie, being the basis for the lead character played by producer and actor Mark Wahlberg as a leader in the effort to find the brothers following the bombing. Peter Berg, director and one of the writers, said of the film that it was "unapologetic in support of law enforcement," which to some observers accounted for the fact that Patriots Day surprisingly failed to be nominated for Best Picture for the recent Academy Awards. One writer, discussing the Academy Awards nominations, observed that Patriots Day "Was exactly the movie that America needs right now." That sense certainly came out when the Boston police officers, following the end of the hunt for the terrorist brothers, were on hand for a Red Sox baseball game and the game was stopped by the Red Sox so those in the stands could say "thank you." Hard to imagine something like that happening in Seattle, where a police pushback is almost a required reaction in some circles of Seattleites and there is still lingering agitation about accusations of excessive force and abuse prior to a 2012 consent decree that followed Justice Department mandated reforms. The idea for the gathering of police and firefighters to get to know each other came about at a social gathering where Fire Chief Harold Scoggins, Merner, Avalara CEO Scott McFarland and Wells Fargo's Senior Vice President Tim Brown were visiting. It came up in conversation that Merner's role in the pursuit of the Boston bombers was being played by Wahlberg. Following that conversation, Debbie Peppa, charged by Steinhauer with putting on last week's event. She recalled for me what happened next. "It didn't take long before the idea was hatched that we should do an event to honor first responder and that the movie would be a great platform to do it, so Scott McFarland and Tim Brown quickly said they would support the event and I was tasked to make it happen," Peppa explained. "Police Chief (Kathleen) O'Toole was supportive of it immediately as well," she added. "It's my understanding that it's the first time that an event like this was held, just an event to honor the officers and firefighters who risk their lives every day in a political climate that isn't really supportive of what they do so we wanted to send a message that people do recognize what they do." "But it wouldn't have come about if Mark Pinkowski, chairman of the board for the Police Foundation, hadn't been instrumental in supporting the event, even though he was in Wisconsin dealing with the death of his father," Peppa said. Mark Sundberg, president of International Parking Management (IPM), who was one of the sponsors of the gathering, said "It was a phenomenal event and it would be awesome if we could do it again next year and have the general public get the chance to be involved." In fact a number of the firefighters and officers asked if this could become a yearly event to allow the two departments to mingle and build relationships. Sundberg made a point of praising what has happened in the department under O'Toole's leadership. O'Toole, who had headed the Boston police department as well as the Irish national police, was tapped just under three years ago by Mayor Ed Murray after a national search to take over what was a beleaguered department operating under the consent decree that required stiff reforms to combat excessive force and biased policing. "The police chief is the best thing that has happened in Seattle for a long time," Sundberg told me. As a bit of background on Assistant Chief Robert Merner, who was the catalyst for the event, he joined the Seattle Police Department two years ago this week from Boston, where he was chief of detectives in the Boston Police Department. In that role he oversaw 800 employees as superintendent of the Bureau of Investigative Services. Merner, who joined the Boston Police Department in 1986, worked under O'Toole when she served as Boston police commissioner from 2004 to 2006. O'Toole said at the time of his selection she was unaware that he had applied for the Seattle job until he became a finalist. He told her he didn't alert her of his interest because that would have been inappropriate, she said.